Whether your new to the RV'ing lifestyle or a seasoned veteran, knowing which accessories to purchase for your camper or motorhome can make a big difference in your camping experience. We have compiled hundreds of helpful articles over the years and plan to bring this information together all in one spot. So check back often for information that just might make your next RV trip just that much better. When it comes time to stock your RV's kitchen, you don't have to spend the time and expense of purchasing everything separately. 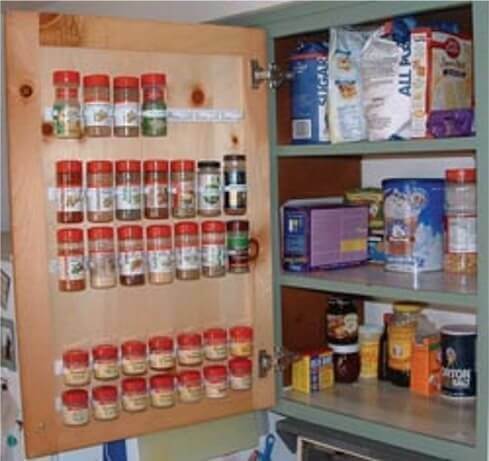 Maybe you are new to RVing and need to fill your motorhome's kitchen with the basics, or you are simply looking to expand on or replace what you already have. 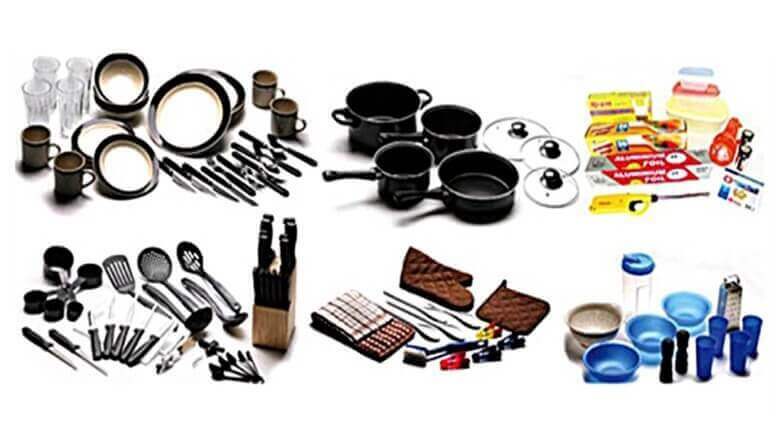 Luckily, there are several cooking sets available that can meet your needs and purposes. Most the time while on a camping trip when it's mealtime you get out all your grilling supplies and food and grill out. What about changing it up a bit and packing sandwiches and going on a picnic. Gather up your things, take a walk down to the lake or hike through the woods and find a nice spot to set up for lunch. This can be a great way for you to have fun with the kids or it can be a nice romantic meal with your significant other. 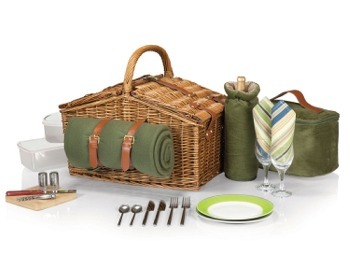 Check out our site, we carry many accessories that are perfect for a beautiful summer picnic. If you have been making use of your motorhome this summer, hopefully you've already put some miles in and seen some amazing sites. Of course, the more often you have been enjoying life on the open road, the greater your chances that it's time for a mid-summer clean up. 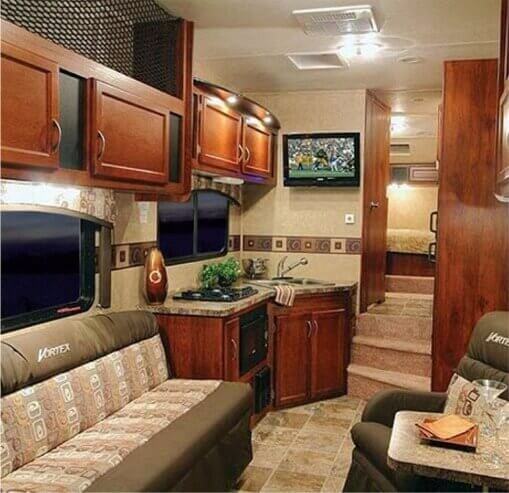 We have discussed before the variety of products available for cleaning your RV's interior. One of the most important is a reliable central vacuum system, such as the Dirt Devil CV1500. Using a central vacuum system saves you from having to use and store a vacuum cleaner from home, which takes up space that can easily be used for other supplies. Window treatments are one of those design choices that fulfills a practical necessity as well as adds style to a space. Whether it's your own house or your RV, window treatments such as shades, curtains or blinds add privacy and keep the light out when you don't want it. With your RV's windows, there are additional things to consider that may not be an issue with your home windows. Are you hoping to spruce up your motorhome’s window treatments in time for your next camping trip? Or will it be your first time outfitting your RV's windows? If so, you might want to read through our tips on choosing new window treatments. When it's time for simple RV upgrades that an owner can manage themselves, one of the easiest and most effective ways to improve your RVing experience is to switch out the incandescent or halogen bulbs for more modern LED bulbs. Here are 5 reasons why you would want to switch. Not all bedroom sets are the same, especially when they are made for a specific purpose, such as an RV. With the different sizes and types of RV beds out there, it doesn't have to be a challenge to find the bedding you need. 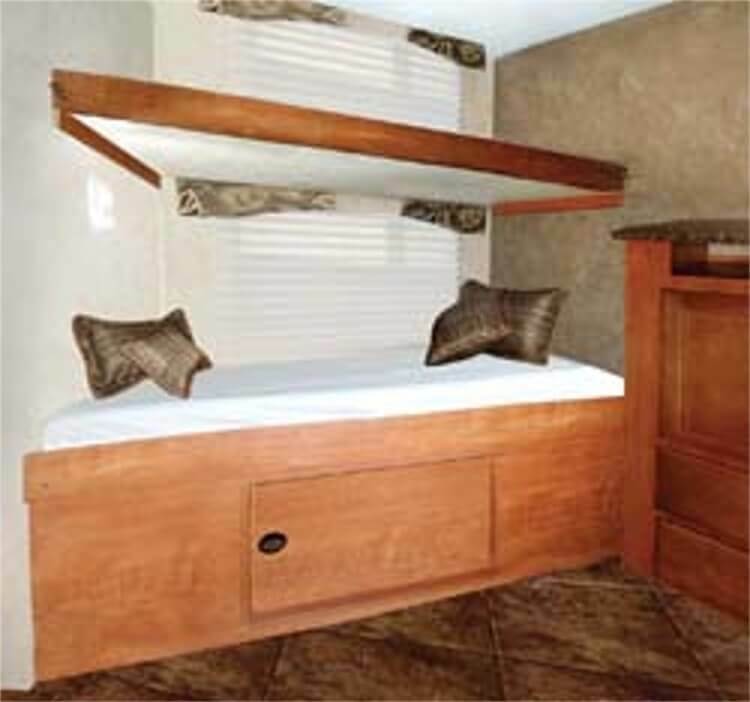 Keep in mind that bed sizes for RVs differ from the sizes for your beds at home. 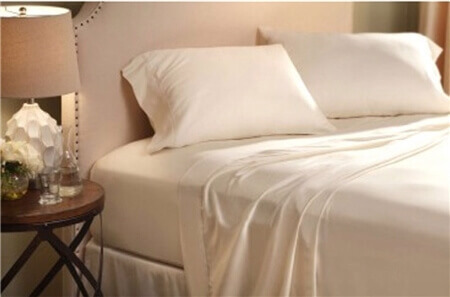 The kind of bedding you choose can depend on the type of sleeper you are as well as your comfort level. Whether you are new to RVing and need a bedding set, or you are simply looking to complete or change out your existing bedding, the collection from Denver Mattress can meet your needs. Unfortunately we can't always guarantee beautiful weather when we travel. Even if the sun isn't always shining, that doesn't necessarily mean the day is wasted. There are a number of activities that can be done inside to help pass the time while still being enjoyable. If you have children with you, it can sometimes be a challenge keeping them occupied until the skies clear. This article gives you a few ideas to help you get through a rainy day on your next RV trip. When people get their first motor home or upgrade to a new RV, motor home accessories are often the first thing they think about. What do they need to have a functional outdoor area to augment their small indoor space? What items will serve multiple purposes or maximize storage space? Which things will they enjoy the most? Is there a cheaper option for all of those items they need to get to increase their enjoyment of their vacation or their new fulltime RVer lifestyle? Many people forget to consider the weight of all those things they would like to have. Just like with home appliances, selecting the right refrigerator for your RV is an important decision. 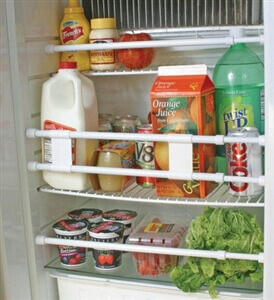 Maybe you are new to RV-ing and you aren't sure what type of RV fridge is right for you. On the other hand, you may know what you want or like what you already have and just want to make a few changes. 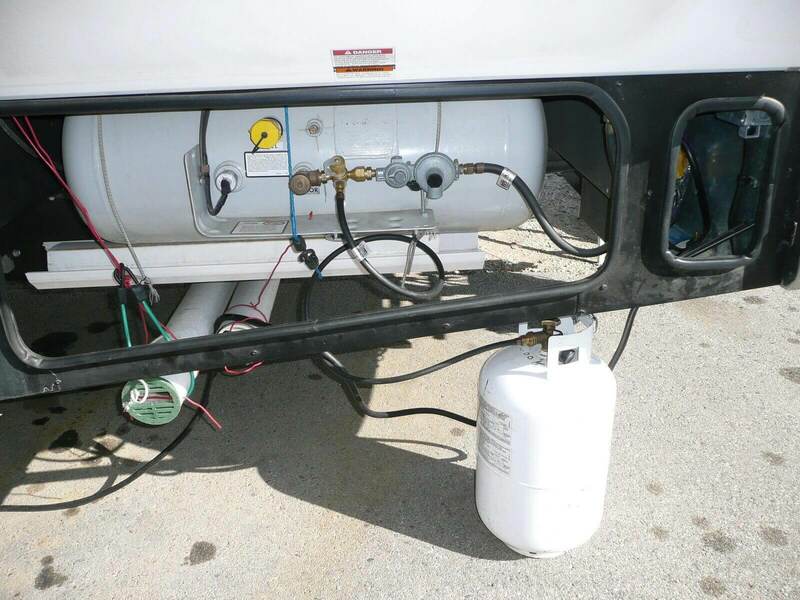 Whether you are looking to replace your existing RV's fridge, or you wish to simply customize or upgrade certain parts, there are a number of products available that can assist you in this task. Having low water pressure is not a fun experience, if it is really low you may have an issue within the water system. Check the hoses for leaks or any kinks that may restrict the flow of water. If there is nothing wrong, you may have to deal with it or use your water pump and on-board water tank to get higher water pressure when needed. 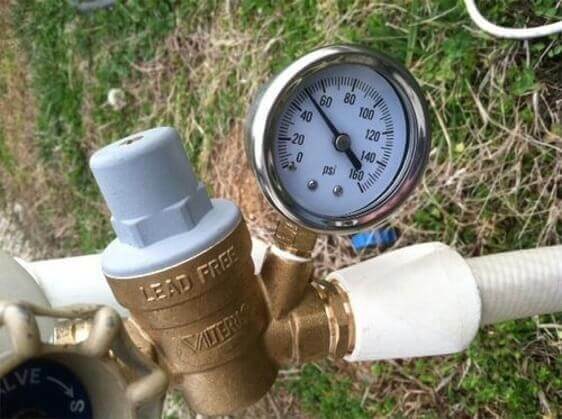 We all love high water pressure when it comes to washing the dishes or taking a shower, but when it comes to our RV water system, it's important to make sure that it is not too high, for fear of damaging the system. Check out the many RV Water Pressure Regulators that we carry, that can protect your RV from dangerous campground water pressure. Getting the right amount of shade during warm sunny days can be important. It keeps you out of the direct line of sunlight, not to mention the air feels much cooler. You stay much more comfortable without having to retreat inside your RV. 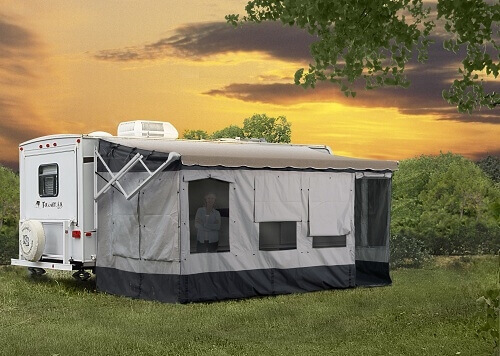 However, your RV's awning may not be enough to provide all the shade you want, particularly if you have a larger set-up at the campsite or if the sun is shining in at angle. Likewise when you are inside your RV, having the right amount of shade will keep the inside temperatures cooler, so your air conditioning unit will not have to work as hard. Have you ever gone camping on one of those steamy summer weekends when it's just too uncomfortable to spend your entire trip outdoors? Let me tell you, the last thing you want is an RV air conditioner that isn't working properly. Many RV owners take working air conditioning for granted. However, if you don't perform the right maintenance, you could end up without cool air, making for one uncomfortable camping trip. After all, the reason you camp in an RV instead of a tent is to give yourself the comforts of home, right? While it's not thought of as a prime gift giving time, summer can be full of events and celebrations that present you with that opportunity. Father's Day, graduation parties, weddings and summertime birthdays are all instances that may require you to buy a gift. For some of us, that can equate to a stressful situation if we have no ideas. Unsure what to do for the RV'er or camping enthusiast in your life? Don't worry! We have plenty of fun and unique RV and camping accessory gift ideas that would be perfect for almost any occasion. Summer means getting to spend more time outside in the warm weather and taking advantage of the longer daylight hours. 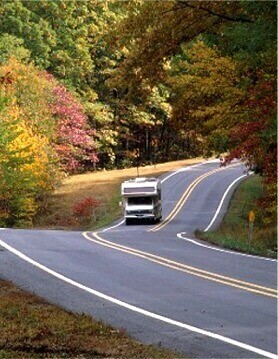 With school out and people taking vacation time, the RV-ing season will soon be in full swing. You'll want to make sure you have all the supplies you need to get the most out of your trip. Of course the major things are easy to remember, but there are other items that you may not have thought about. 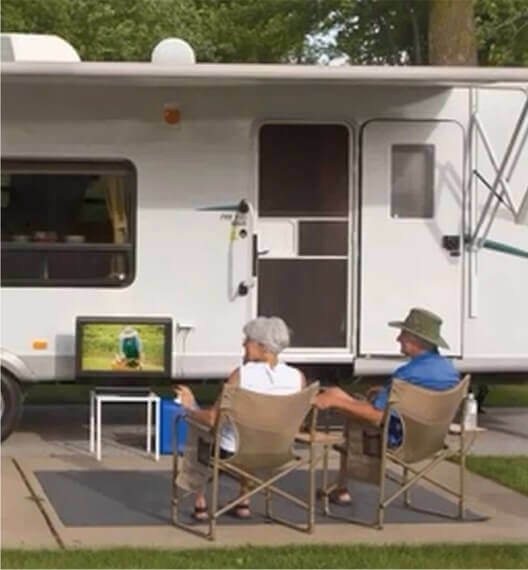 Whether you are on a camping trip, or even entertaining at home, these RV accessories can help make the time you spend outside easier to enjoy. How many times have you come back to your trailer or RV after a long day taking in the sights only to trip on your own RV entry steps? These steps are often made from black metal and can be difficult to see in a dark campground. Instead of putting your safety at risk every time you go in and out of the RV, consider these tips to make your steps safer for everyone. Summer is now unofficially here, and with the warmer temperatures and higher humidity comes the higher potential of severe weather. As we are all probably aware, severe thunderstorms can produce damaging winds, rain and hail, sometimes leading to floods or even tornadoes. Different parts of the country are more prone to different types of storms, which is something to keep in mind during an RV trip. Being prepared for severe weather is the best line of defense, so you and your family can stay safe and take action if necessary. One of the best ways to stay prepared is to keep an eye on the current and upcoming weather conditions. Luckily there are several products available that can keep you up to date. Like homes on foundations, campers often need maintenance or repairs to keep them working at their best. 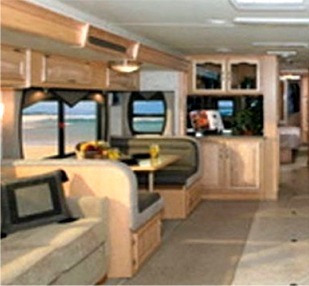 Many people buy RVs with slide-outs to increase the interior floor space. What they often don't consider is that when the slide out mechanisms aren't working properly, the potential for inconvenience is high. You can't safely move an RV with the slides out and if the slides are stuck in, there may be parts of your RV, like the refrigerator or the bathroom that you can't reach. Almost everyone enjoys listening to music while on a road trip. Sometimes that even involves making a playlist, which over time has taken the form of mix tapes and CDs. Nowadays, however, having a playlist of digital music files is becoming the norm. If this is the case for you, there are different ways to connect an external device, such as a tablet or smartphone, to an existing stereo system in your RV. 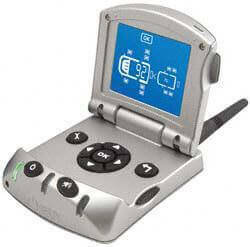 This can include an auxiliary (AUX) input, USB port or Bluetooth capability. Bluetooth has the advantage of being wireless, so you won't have to keep a phone, tablet or other device physically hooked up to a stereo system. 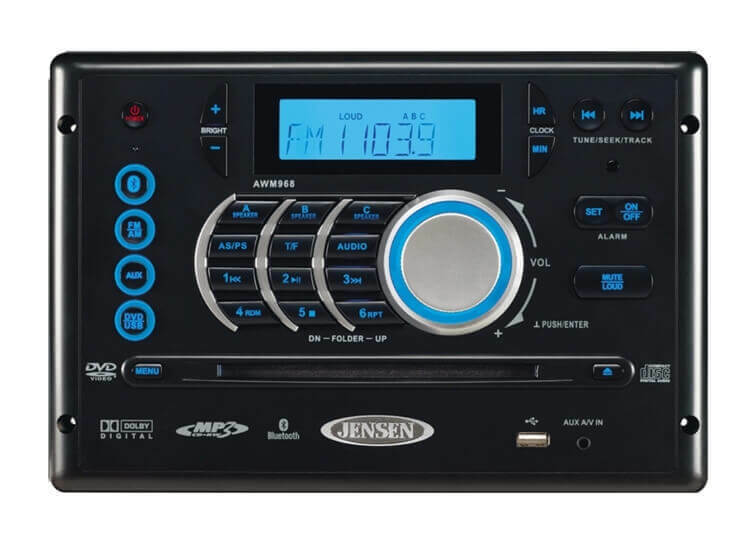 There are a few Bluetooth capable systems available from Jensen, each with different characteristics depending on your preferred entertainment format. Under-inflation and over-inflation of your RV's tires are issues that can affect not only your own safety, but the safety of those sharing the road with you. It's always important to make sure your tires are properly inflated, whether you often use your motorhome or not, and especially before a big road trip. Tires naturally lose air pressure over time, but other things, such as the temperature, can affect them as well. 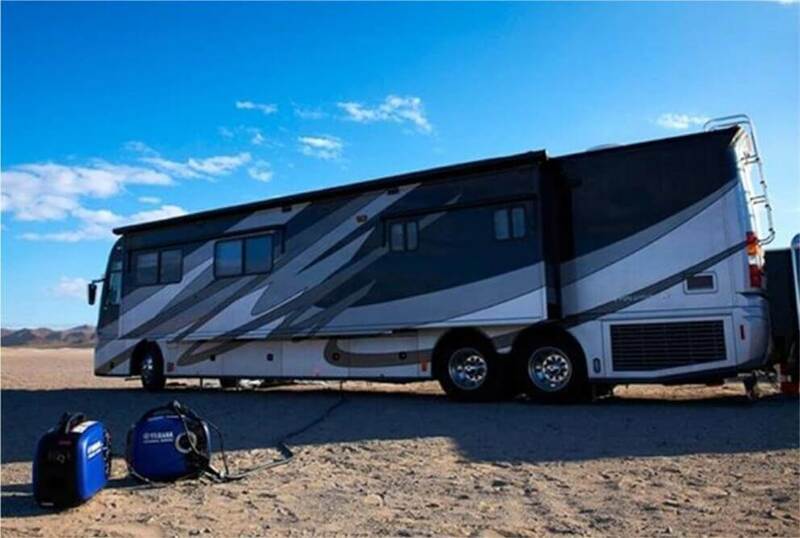 Keep in mind that the correct tire pressure needs to take into account the weight of your RV when it's fully loaded, including you and all your gear. Getting Ready to Hit the Road? 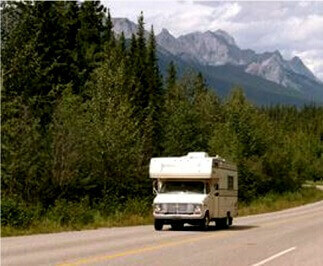 Consider an RV GPS System to Get the Most Out of Your Trip. Still have tons of road maps stuffed under your seat or in the glove box? Then it may be time to pick up an RV GPS system and clear out that much needed storage space. 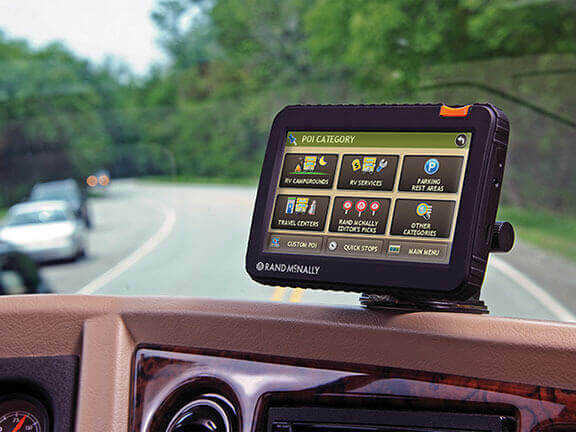 RV GPS systems have come a long way over the past few years; major manufacturers have listened to the suggestions posed by avid RV users. Some new additions to these GPS systems include height input to alert drivers of road height restrictions, suggested areas for camping and RV service centers, and information about local propane regulations. The types of interior lights available for your RV are almost as varied as the types available for your home. This can include ceiling lights, recessed lights, directional and task lighting. 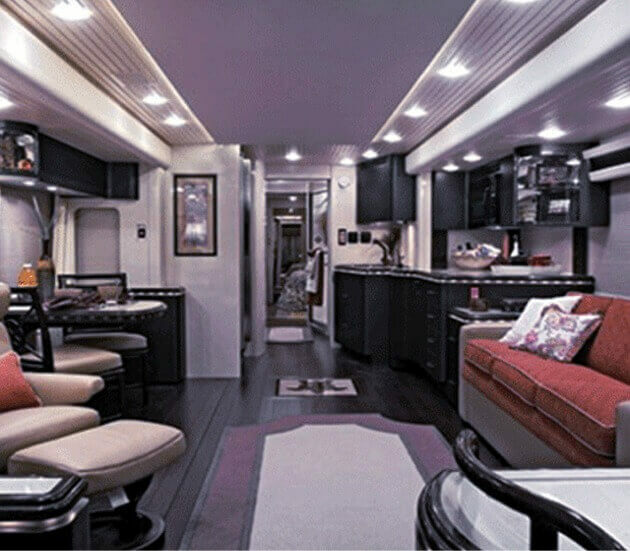 The lighting inside your RV can perform practical functions as well as add a touch of atmosphere or class. You can even take advantage of different finishes to help you achieve the overall look that you want for your RV. A cohesive design ties all the elements together, which includes lighting along with any other interior fixtures, such as plumbing fixtures or hardware. 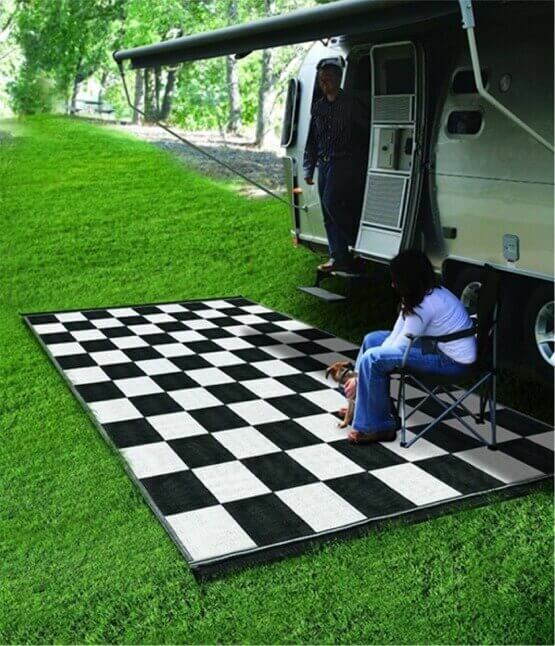 The patio rug is perhaps the best RV accessory that you didn't know you needed. 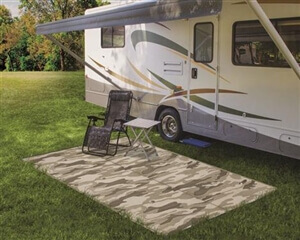 Far more than a mere decoration, the patio rug is as essential to outdoor living as it is to keeping your RV interior clean. With Memorial Day less than 3 weeks away, the unofficial start of summer is not too far off. With it comes a 3 day weekend for most of us, and the RV season gets thrown into high gear. With the warm weather, longer days, holiday weekends and vacation time, there is a lot to look forward to in the summer months ahead. There are plenty of RV and camping accessories available to help you enjoy the summer months. 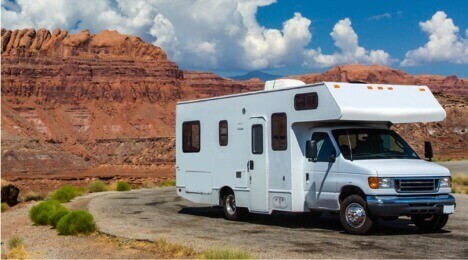 Whether you are new to RV-ing or simply wish to find new gear, here are some ideas to help you get started. 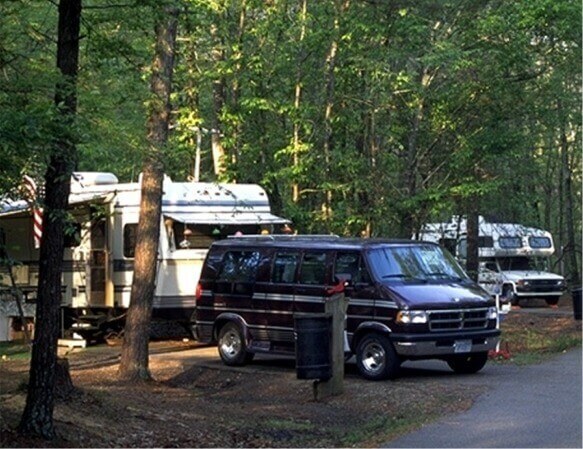 Keeping your RV level can be especially important depending on your chosen campsite. Campsites may not always have the most even ground, so you'll want to make sure your coach stays level. This benefits a number of aspects, from keeping the items in your RV on an even surface, to making sure you are comfortable when walking around or even sleeping inside. One of the easiest ways to accomplish this is through the use of a hydraulic leveling system. 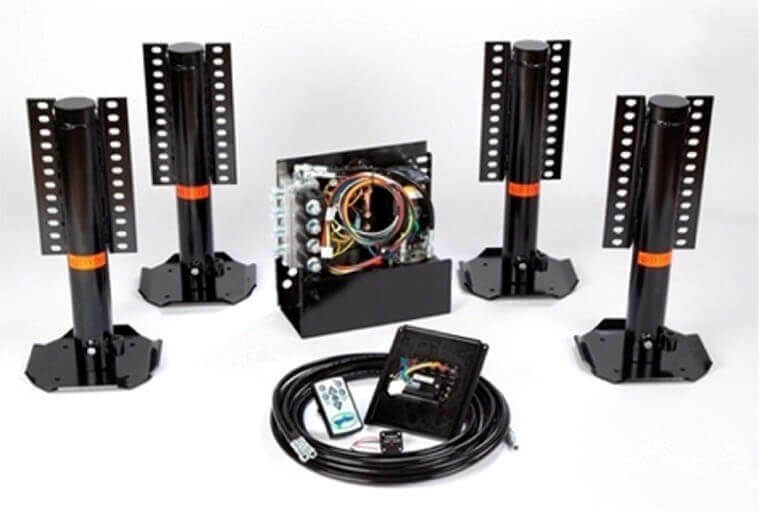 Hydraulic levelers may have come with your motorhome, but if you are looking to upgrade, there are several Bigfoot leveling system options available, depending on your needs and type of RV. With spring already here and the weather getting nicer, outdoor activities such as biking, might be something that you are thinking about for your next camping trip. What is the best way to transport you and your families bikes to your destination, without having to put them inside the RV and take up valuable space? 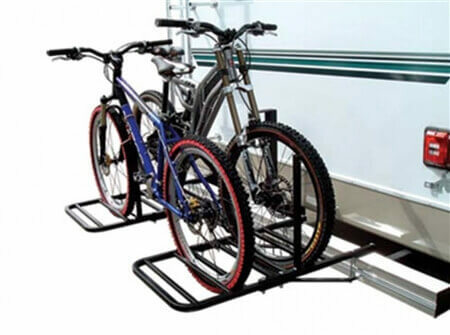 Purchasing a bike carrier to hook up to your RV can be an excellent way to take your bikes on the road and have them easily available whenever the mood strikes. In order for you to find a carrier that is fitting for use with your RV, it's important that you keep in mind the size of the bikes and the number of bikes that you will be needing to haul. Taking the time to compare the differences of these carriers can ensure that the best purchase is made. Grilling season isn't too far away, and for some of us, it may have even already started. 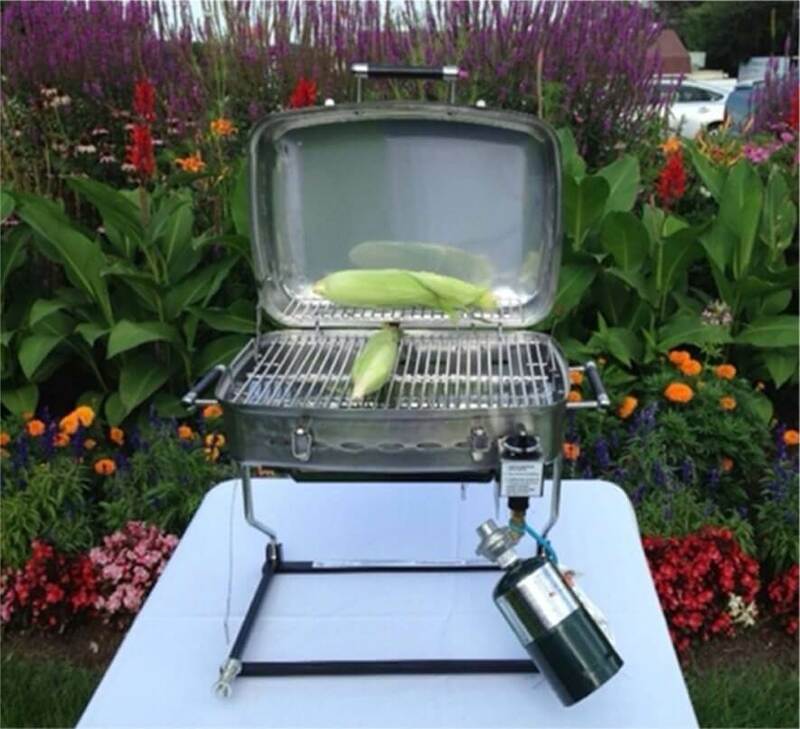 Perhaps some of your grilling supplies need an upgrade after last season. Stainless steel can be an ideal way to achieve professional, high-end look, not only for indoor appliances, but for your outdoor kitchen as well. Its durability and resistance to rust make stainless steel especially compatible for the outdoors. It can also withstand heat and is not prone to collecting dirt or germs the surface; something to always keep in mind when preparing food. There are several ways you can add a touch of modern elegance to your grilling area. The design of your RV's kitchen or bathroom is of course secondary to its functionality. However it's not something that should be disregarded either. 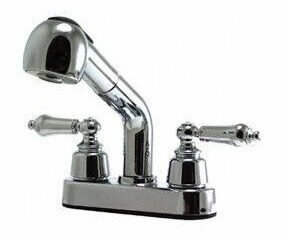 One functional design element that also adds to the feel of your RV is the fixtures, in this case the faucets. Whether you are looking to replace or upgrade your current faucets, you may not have time to go over all the different types and styles available. 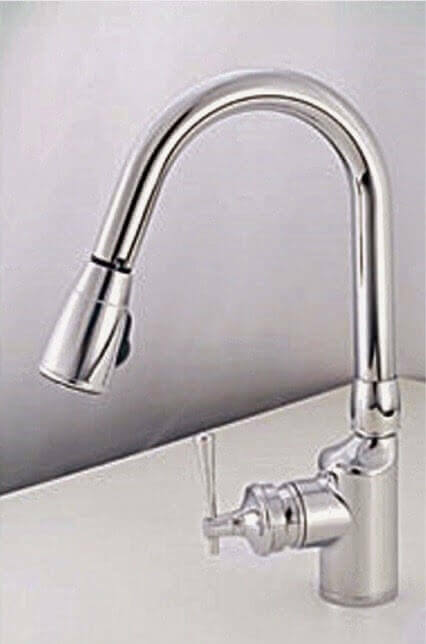 There are different finishes, two handle models, one handle models, pull out faucets; the list goes on and on. This article will give you some helpful tips so you'll be better equipped to make an informed decision. Are you in love with camping but not so crazy about the flying insects that come along with it? With spring just arriving and warmer weather approaching, these pesky bugs will be here before we know it. Are you not looking forward to hauling out the citronella candles and Tiki torches in hopes of keeping those bugs away? If so, it’s time to contemplate an RV screen room purchase. It’s one of the easiest, mess-free ways of keeping one’s family bug bite free. With the rainy spring season finally upon us, the last thing you'll want to think about is the possibility of your roof leaking. Water damage can lead to costly expenses if left untreated, even to the extent of replacing your RV's roof. 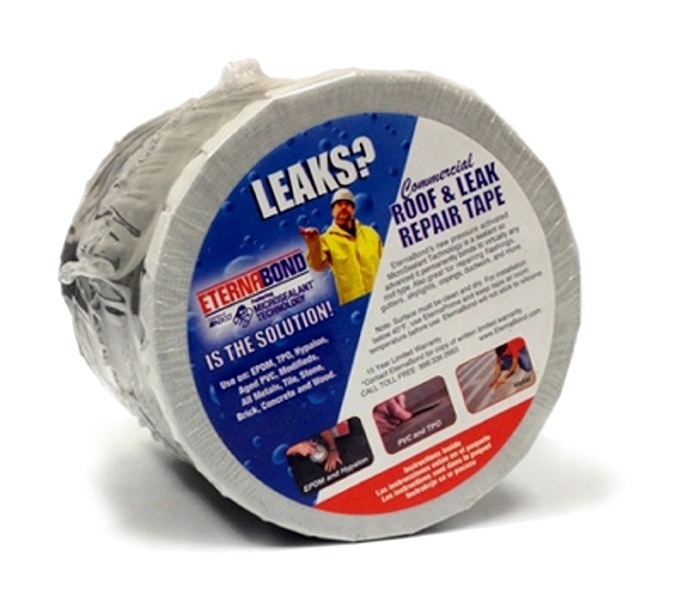 Leaks can become more prevalent as the roof material ages, especially around seams. There are several different ways to prevent this problem, or repair it before it becomes too serious. 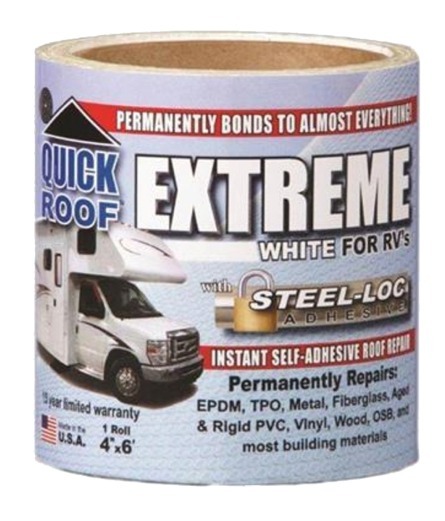 Roof repair tape is one of the most convenient products available to repair or protect the roof of your motorhome, while also being one of the easiest to use. Before you use any kind of treatment, make sure it is compatible with the type of material used for the roof of your coach. RV kitchens are usually much smaller than the kitchens in our homes and clean-up/organization can be more difficult, since most of them lack amenities, such as dishwashers, cabinet space and a place for a garbage can, things that many of us take for granted. 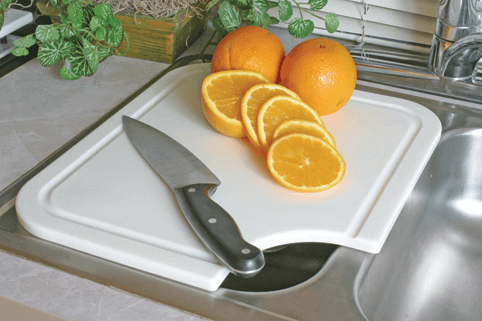 However, there are some products out there that can help keep your RV kitchen neat, clean, and organized, without taking up a ton of space. 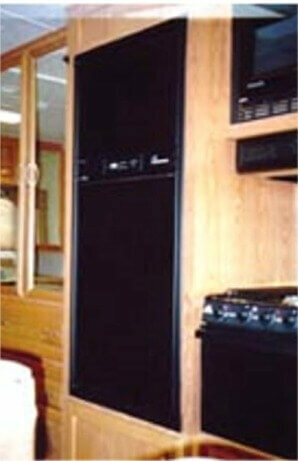 Having the proper appliances for your RV kitchen is very important. When choosing them, keep in mind of the space you have inside and where you can place them, to keep the area comfortable and not cluttered. Most of them for your home can not be used in your motor home, due to the fact that your RV does not have enough room to fit large appliances. For this reason there are many that are designed specifically for your RV. In your home, you probably don't think too much about sanitation, as long as the plumbing works correctly. When it comes to motorhomes there are additional steps such as emptying the holding tank or using chemicals to eliminate odors. Dealing with your black and gray water tanks may not be an enjoyable task, but it is a necessary one. Luckily, there are motorhome supplies that can make these unpleasant chores more tolerable. It seems there are monitors for almost everything when you go RV-ing. 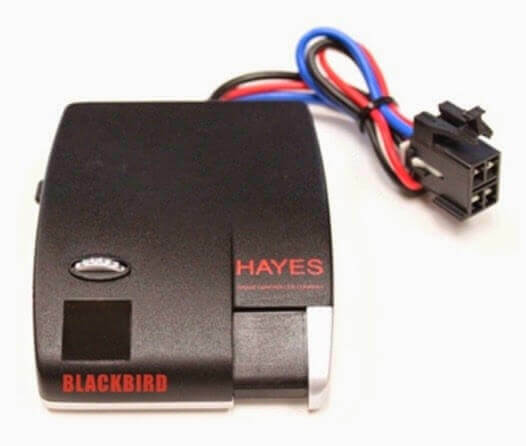 This can include such things as tire pressure, electricity, engine status and so on. The levels of your liquid tanks are one more aspect that you should keep an eye on. It lets you know whether the tanks are full or if they need to be emptied. 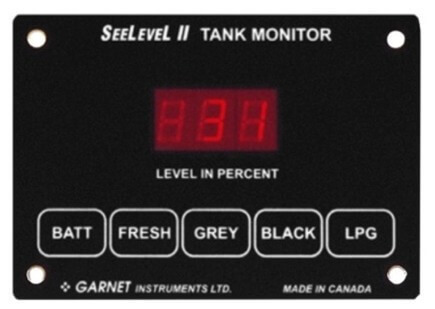 The line of Seelevel tank monitors from Garnet Technologies are designed to check several different areas, including your battery voltage or fresh water tank, thereby consolidating space. Certain models also feature kitchen tank monitoring or pump switches. This article goes over the different options available to you, in case you are unsure which one is right for you. When you are on the road with your family, in your RV, safety should always be a big priority. 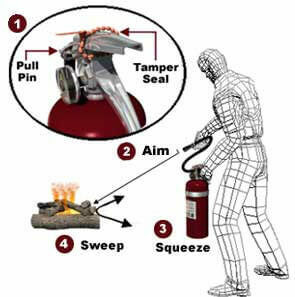 Are you prepared in the event that a fire breaks out, what about if someone gets hurt? Accidents happen all the time, but if you are not prepared and don't have the things necessary to take care of the issue, the outcome can be horrific. We have a few products that we hope you will never have to use, but if you do they may mean the difference between a good or bad outcome. 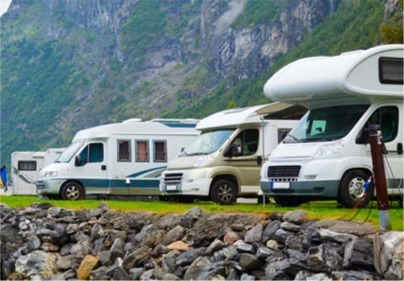 If you are new to RV-ing, and are still getting comfortable driving your motorhome, the thought of dragging a car or SUV behind you can be intimidating. There's the extra length and different turning radius to deal with first of all. Secondly, with all the parts that are out there you may be unsure of where to start. Dinghy towing does add some extra steps to your departure and arrival, but a toad allows you to easily explore the area with less hassle later. Taking a car with you gives you the flexibility to easily make short trips without unhooking your RV from campground utilities. Today we'll be going over just a few of the more essential components of a towing system to get you started. 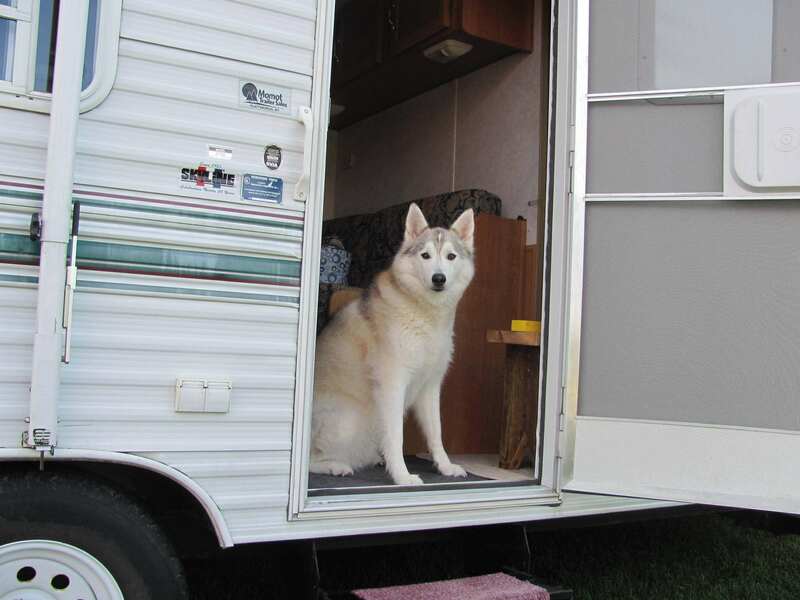 Just like at home, security is an important consideration when on the road in an RV. It’s important to be aware of your surroundings and to take precautions against theft and other types of crime. It's always best to be prepared, especially if you are in an unfamiliar area. 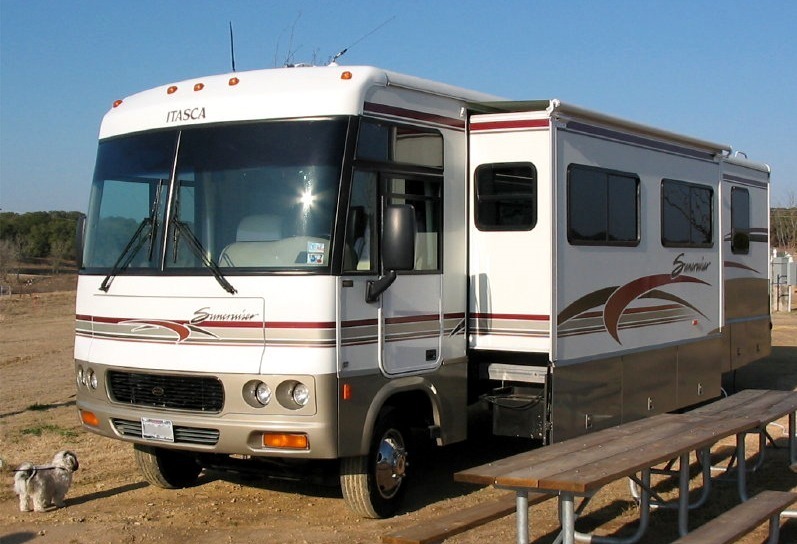 There are several RV accessories you can use to help protect your family and your belongings. Knowing you've taken the proper steps toward increasing security will give you greater confidence and peace of mind during your travels. If you're a beginner RVer and you just purchased your first RV or fifth wheel trailer, how do you know what you need for your first road trip. Unless you have a family member or a friend that is an RVer, that can tell you the necessities, you might have to do a bit of research on the internet. 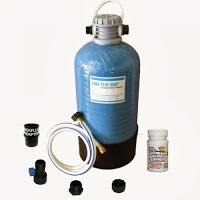 One necessity you will need are all the parts and accessories for the water and sewer systems. 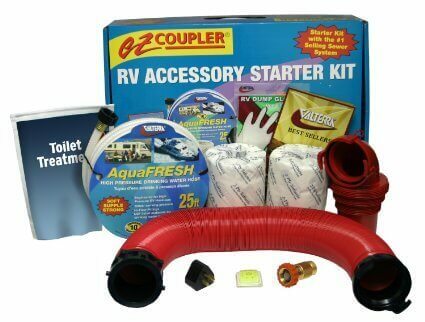 When you figure out what you have and don't have, check out our wide selection of RV starter kits that will save you money and bundle the supplies you need into one. Being able to do laundry on a camping trip is a luxury many RVs already come with now a days, but if not it can turn your trip into a hassle. If you're on the road for long periods of time, eventually you will run out of clean clothes and who really wants to spend their vacation time in a laundromat? Hopefully if you decide to do your laundry at the laundromat, the campground you are staying at has one. 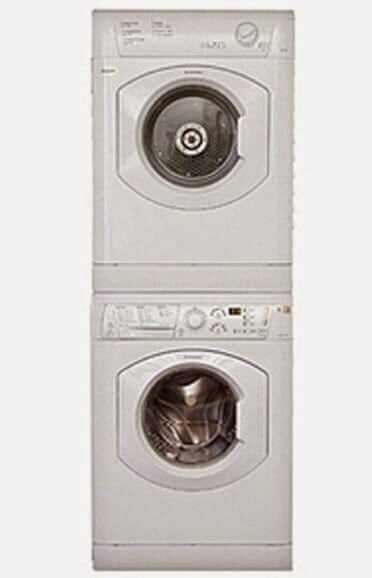 To make your life simpler, just about any RV can have a washer and dryer added to it and we have a few to choose from including all the accessories you may want, to make laundry an easy task on your trip. 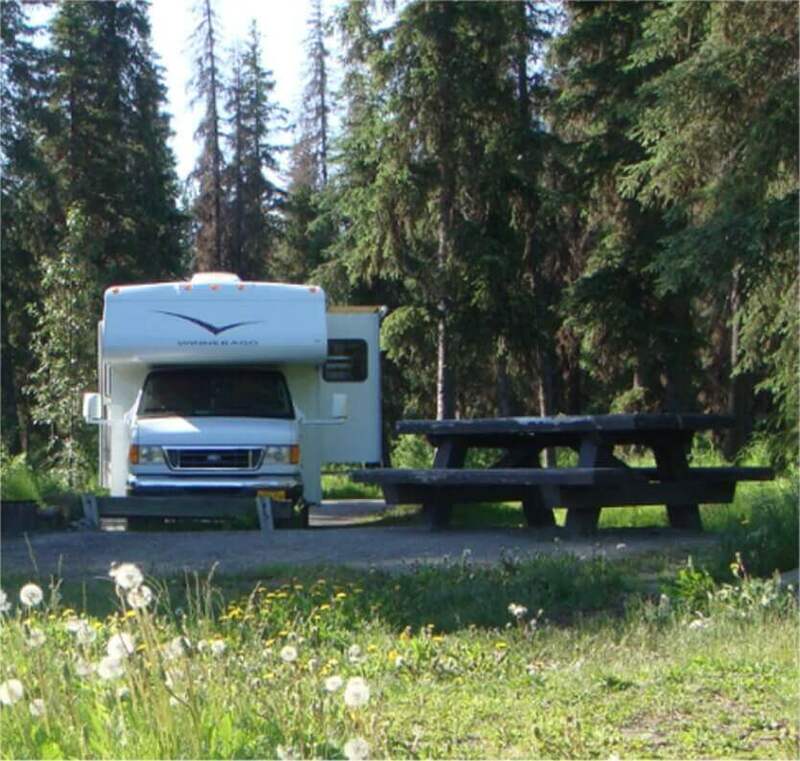 Do you struggle when it comes to accurately parking your RV, trailer or camper? You can try, try and try again but sometimes you just can't park it exactly where you need it. If it seems like no matter what you do, your either too far to the left, too far to the right, or possibly worse you end up backing into something, then we have a few accessories, that will be described in this article to make this a simple task. Accessorizing is a part of any interior design project, whether it is for your home or your RV. Adding the right finishing touches helps to bring a space together and give it a cohesive appearance. 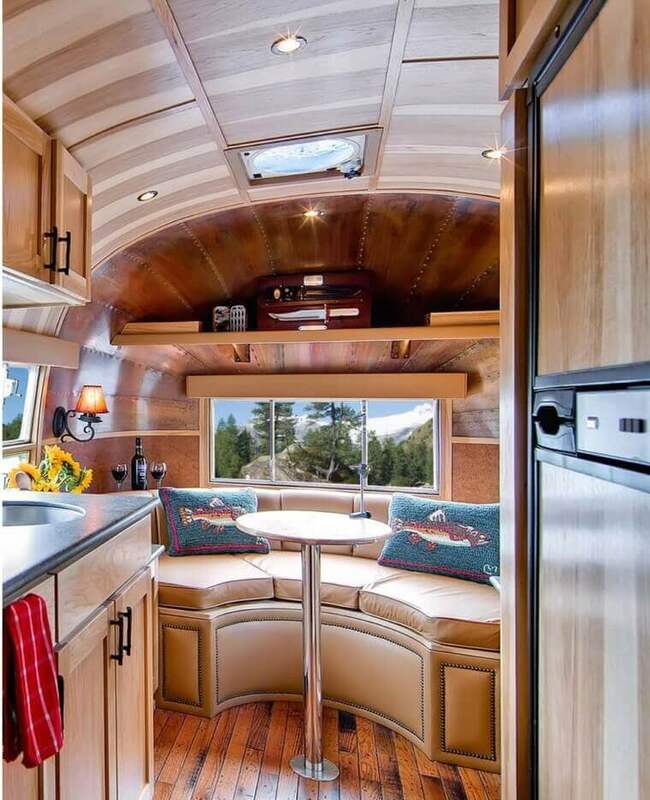 Due to the limited space in RV interior design, it's best to have accessories that not only add the sense of style but also provide functionality. The idea of having an 'open concept' space is even more prevalent, as more living spaces are in full view of each other than in a house. 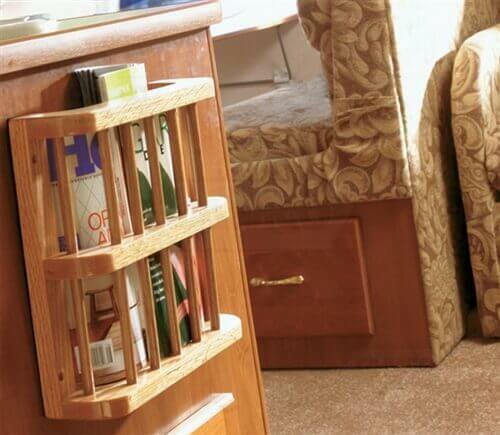 We have plenty of interior accessories available to create or update the look of your motorhome. When towing a trailer or camper behind your tow vehicle, it leaves no room behind for any hitch accessories to be functional. This is where if you have a front hitch you can get accessories that will increase space or be helpful to you and your vehicle. This article will give just a few examples of the accessories that we carry that may be helpful to you on your next road trip. As you know RVs, fifth wheel trailers and campers are big and tall and while driving you have blind spots or areas of the vehicle that you just can't see. In this article we are going to discuss just a few safety accessories that can help protect the exterior from damaging accidents and save you from having to pay for the expensive cost of repairing those damages. There are some out there who probably feel that staying environmentally conscious while RV-ing is a contradiction in terms. This assumption is not necessarily true. 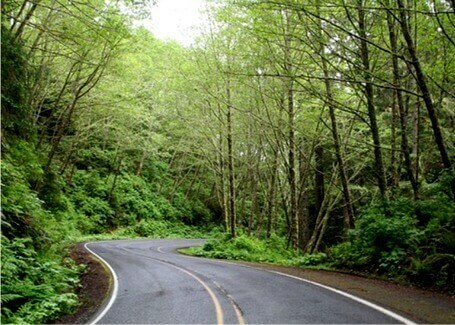 There are plenty of ways to 'go green' while you are away from home. Most likely you take your motorhome to natural spots. Seeing these types of locations in person is certainly more effective than seeing it at home on your TV or in a picture. You'll probably be more apt to want to see it preserved for future generations. This article will go over a few easy ways that you can stay environmentally aware in your travels. Your driving down the road and you make a sharp turn, all you hear is CRASH, coming from the back of your RV. So you stop and look and all your kitchen glassware, plates and food from inside the refrigerator is scattered and broken all over the floor. This is a common mistake made by a beginner RVer. 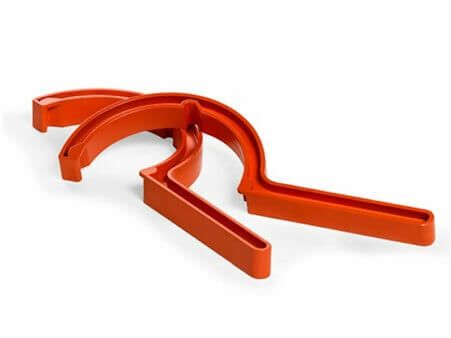 There are many products out there that are made specifically to keep your things from sliding out of their area, even on the sharpest of turns. 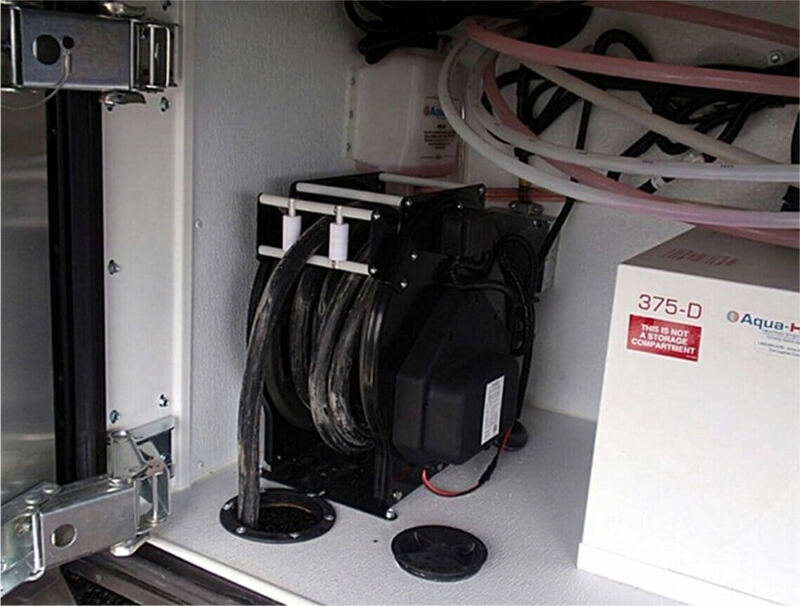 Power cord and hose reels can bring a lot of convenience for RV storage. Hoses and cords are kept neat and organized rather than being placed in a pile. Keeping them neatly wound up also saves storage space and makes them easier to use when you need them. Using a reel will allow you to only pull out the amount that you need, and it will eliminate the kinks or tangles. They will also make the most use of your space so the hose or cord takes up the smallest amount of room. Reels can vary by more than just dimensions and capacity. The type of retraction, mounting style and the intended purpose for the reel also come into play when making a decision. You're driving down the road in your RV and all of a sudden, it breaks down. Maybe it's a flat tire, did you run out of gas or maybe worse, engine trouble. These are just a few reasons why you would be stranded on the side of the road. Your first thought when this happens should be about your safety, where are you at, can other drivers see you and if not how can you make yourself visible to others. This is why having emergency supplies stored somewhere on your vehicle is helpful. 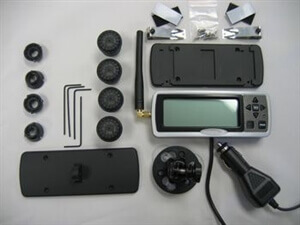 Looking to upgrade the existing stereo system in your RV? There are of course, many different types of stereo receivers available. Choosing the one you want involves considering several factors. How often you plan on using it and what types of media you wish to be compatible with it are both things to keep in mind. Stereo systems can range from a basic radio and CD player, to units that support many different mediums, such as CD, DVD, MP3 and more. If you are the type that stores music on a mobile device, such as a smartphone or iPod, features such as a USB port or Bluetooth capability may also be important. Your dog is not just a pet, their more like family and more times than not, you take them where ever you go. Taking them on a camping trip can be fun but it can also be a lot of work. Going on a walk, swimming in the river or pond and then campgrounds have a lot of mud and dirt, in which they love to roll around in. Here are a few pet accessories to help you on your trip. One of the best things about going on an RV camping trip is the food. There's something about cooking and eating meals outside that gives it a flavor that you can't get in a kitchen. 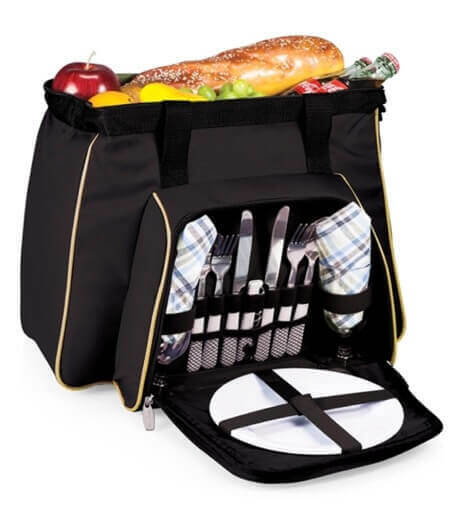 The same holds true for backyard barbeques or picnics in the park. As spring draws nearer, the thought of spending more time outside in the nicer weather becomes more and more appealing. 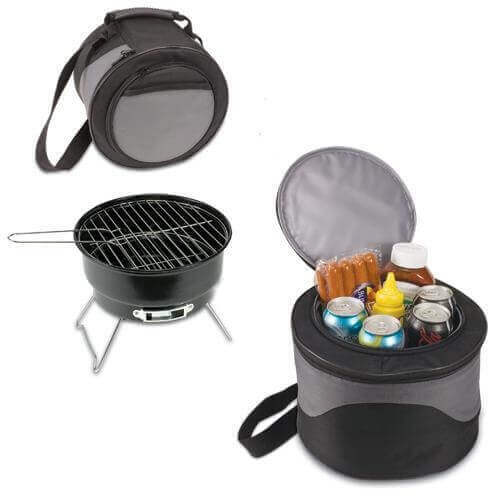 Whether you prefer to cook on a grill, or over an open campfire we have the outdoor RV accessories you'll need. Trying to find bedding that fits your RV, motor home or camper beds can be a real hassle. Not to mention you probably won't even be able to find the proper fitting sheets and comforters in your local stores. Using your regular at home bedroom linen most likely won't fit, due to the different sizes and shapes of the beds in your RV. An RV size full, queen or king may not be the same as your homes full, queen or king. You could just put them on and deal with having to fix it in the middle of the night or every morning when you get up, or you can check out our selection of different brands and sizes, specifically made for RV beds, to fit just about any size mattress. Ideas on cleaning the inside of your RV have been mentioned here previously, so now we'll move on to your motorhome's exterior. 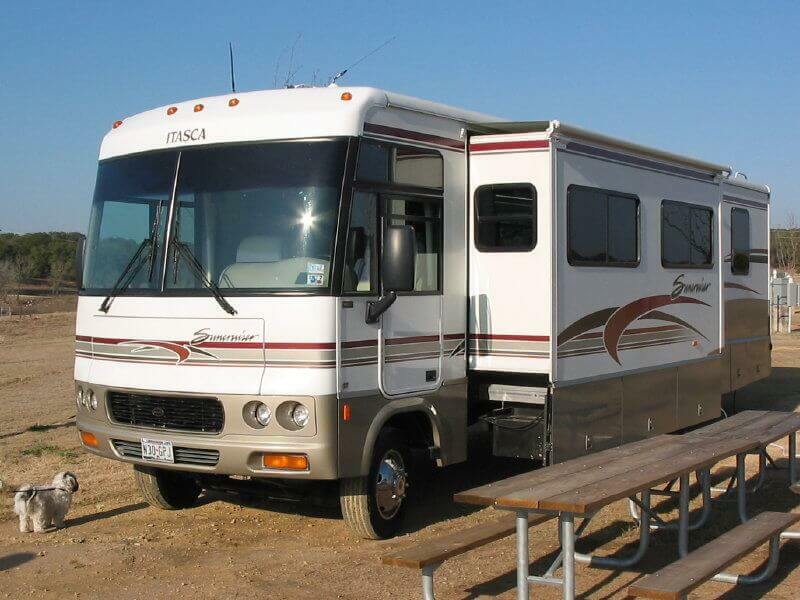 It's a good idea to give your RV a thorough washing a couple of times a year, even if it's been covered up all winter. Taking the time to do so will make your RV look like new and give it a fresh appearance for the upcoming camping and travel season. There is a vast number of cleaners and cleaning accessories available to help you get the job done. 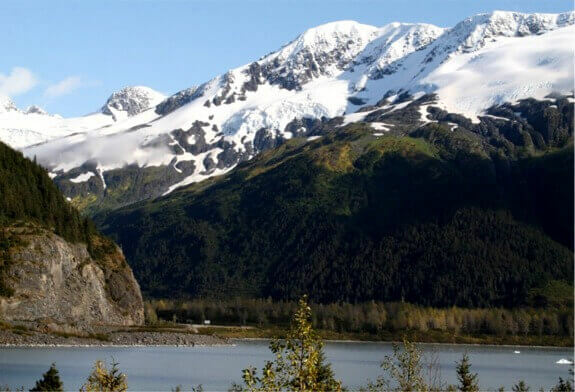 As winter is coming to an end, the snow melts and you begin to take your RV, trailer or camper out of storage. Depending on where and how it was stored, you may run into a few issues, especially if it sat outside all winter. One of the problems you may find is a leak in the roof, which is never a good thing. Don't worry about finding a roof repairman, that will probably cost you an arm and a leg. The solution to this problem is EternaBond, which is an inexpensive, quick and easy, do it yourself way to fix it. 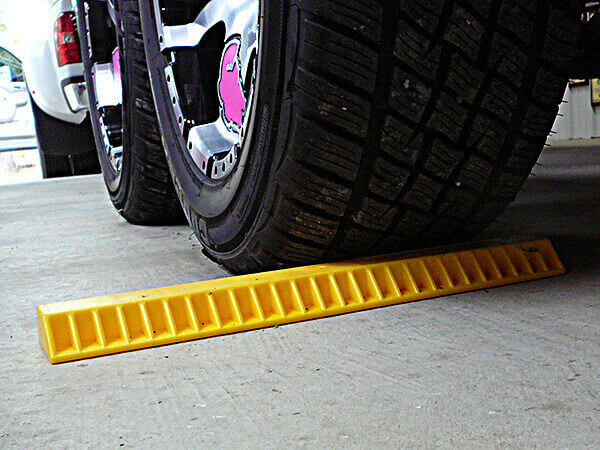 In an ideal situation, you would have someone with you to help out in getting your hitch lined up correctly. Unfortunately, this is doesn't always happen. When you need to hitch up a trailer or camper to your vehicle, it can be a real chore if you are doing it by yourself. 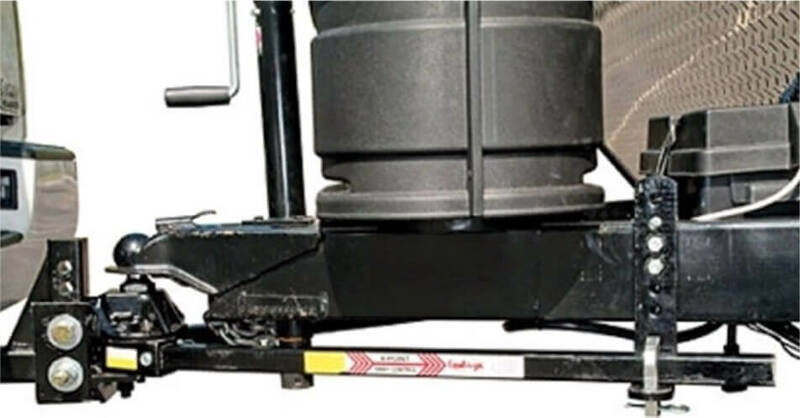 Hitching a trailer on your own can sometimes mean getting in and out of your vehicle repeatedly to make sure you are lining up the coupler and ball mount correctly. It's always a good idea to have a little extra assistance in this area, even if you think you won't need it. There are ways to easily get the job done if you are by yourself. Have you ever been to a campground and tried walking around outside your camper, motor home or RV at night, without any outdoor lighting, it's not that easy is it? The number one reason why outdoor lights are so important is obviously because of the dark night. Trying to find your way around in the dark can not only be dangerous but it can also be scary. The idea of the unknown can be nerve wracking, is there an animal out there, am I going to step on something sharp or trip over something and fall. What about when the campfire dies out? If you don't have lights, then you have to make your way back to your RV in the dark. When towing a trailer long distances saving money is an important factor. 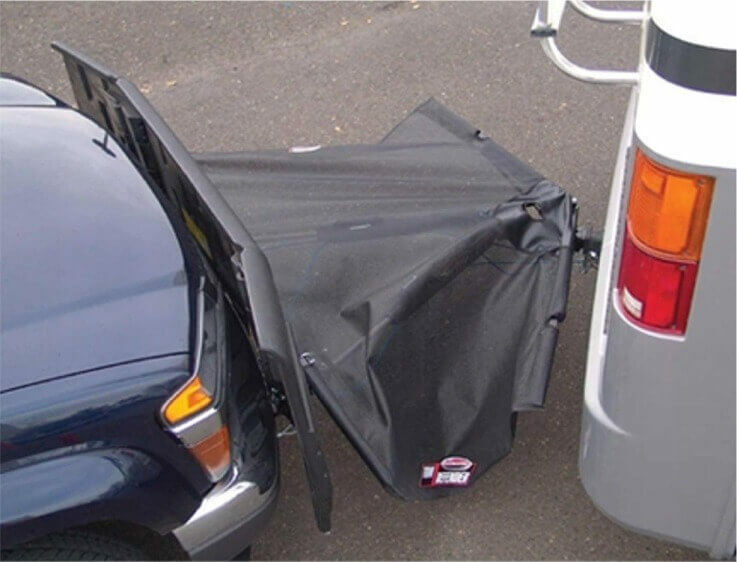 Adding the Icon AeroShield Wind Deflector to your truck, will do exactly as it says, by deflecting the wind up and over the camper or trailer, giving you a smoother ride. This will also save you money by giving you better gas mileage, up to 3 MPG more. 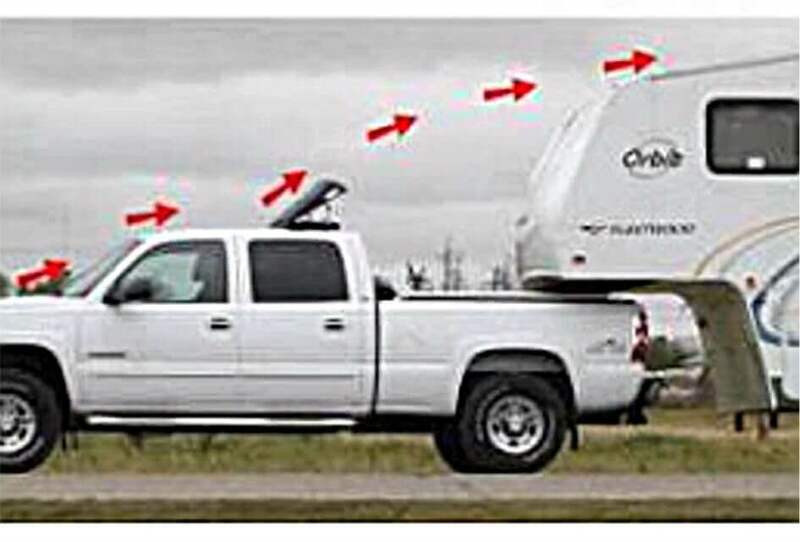 By not having an AeroShield the wind will get trapped in-between your truck and the trailer, which can in turn create instability and poor handling of you vehicle. Also the wind hitting the front of the trailer will put added drag on your tow vehicle, making the engine work harder and also losing gas mileage. Having the right type of rooftop vent or powered vent fan for your RV is important for maintaining interior air quality. 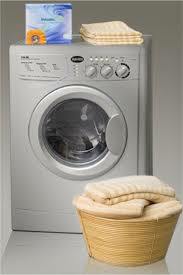 Besides replacing stale, musty air with fresh air, they help to get rid of odors, such as those created while cooking. In the warmer months, circulating outside air can also keep inside temperatures down, which can sometimes save you from having to run an air conditioner. 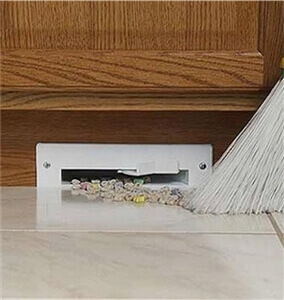 Moisture buildup, which is common in bathrooms and other smaller spaces, can be prevented through the use of a vent. If you are looking to change or upgrade the rooftop vents on your motorhome, there are different types of Fan-Tastic rooftop vent options available. Whether you live in your RV, trailer or camper, or you store it for a period of time while not in use, a dehumidifier is always great to have. If you live somewhere where the weather is warm and humid, they can remove the harmful humidity or condensation that gets trapped on the inside, that causes mold and mildew. Even if it's cold and you store your vehicle, there might not be much humidity but because it may be sitting for a long time, it is still susceptible to moisture, which is not good for your vehicle. Whether you are planning to take any camping trips in the spring or not, now is a great time to start thinking about the supplies you might need. There can be a lot to consider when going on an RV trip, and it's easy to forget something important. Here is a selection of a few items you should remember to bring along, especially as the weather starts getting warmer. 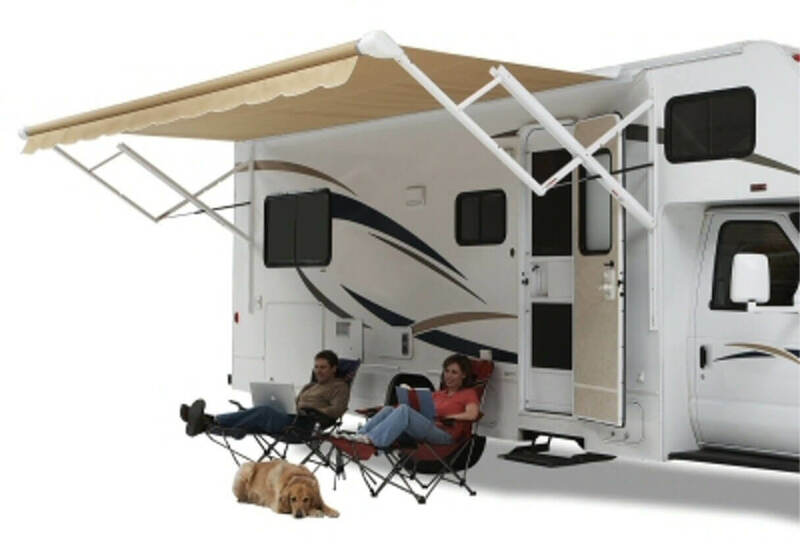 We have previously discussed the reasons for having a TV antenna for your RV. These can include not wanting to miss your favorite shows or the big game, as well as having a source of news and weather information in the event that you need it. However, there are many options when it comes to RV TV antennas, which can be overwhelming if you aren't sure what you want. Certain factors besides budget should be taken under consideration. How much time you'll spend watching TV, whether you'll use it outside and the number of channels you want to receive are all things to think about before making a decision. 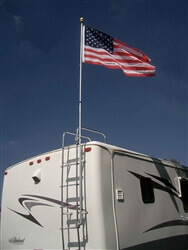 This article will go over a few of the TV antennas available for your motorhome. If you have ever had to tow a trailer behind your vehicle, then you may know what it is like to not be able to see along the side or behind the trailer. As you know this can be extremely dangerous, especially when trying to switch lanes or back up. Some accidents or "close calls" with tow vehicles happen because the driver did not have the visibility he/she needed. If you had a pair of towing mirrors to put onto your tow vehicle this would solve the problem. 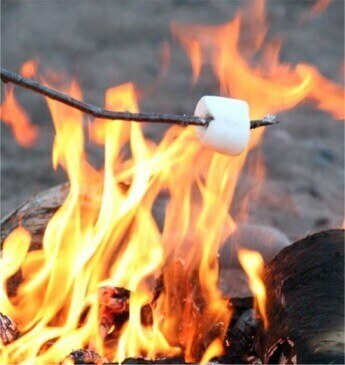 When you go to a campground the number one thing everyone loves to do is sit around a fire and relax. 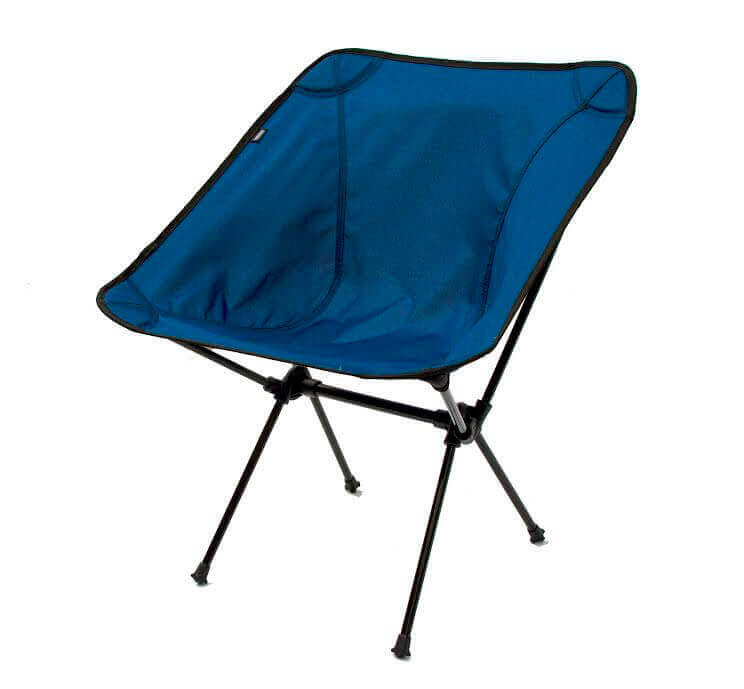 Have you ever been camping and not had a comfy place to sit by the fire at night? 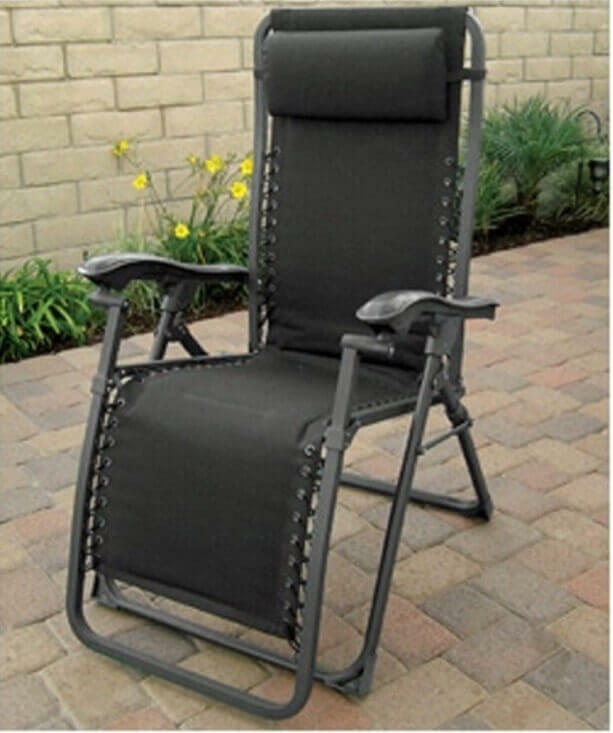 If so then check out our new Steel Joey Chair by Travel Chair. RV-ing in the winter can be a messy business. Salt, snow, mud and other types of dirt and grime can easily get tracked inside. On the other hand, you may want to start preparing for a spring cleaning after your RV has been in storage. You've certainly heard the term 'spring cleaning' in reference to your home. Your RV benefits from this as well, especially if you have any early spring trips coming up. 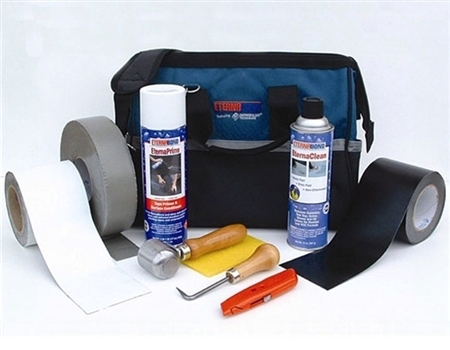 Whether you are already thinking about getting your RV ready for spring, or if you've done some winter traveling and wish to do a thorough cleaning, these RV accessories will come in handy. 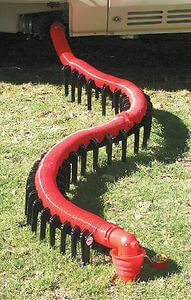 Have you ever been stuck at a campground because you can't get your sewer hose unhooked from your RV? If so then you know this can be very frustrating and what do you do to get it off. Your options are to try and find some help, keep trying or get out your big locking pliers that will only warp and tear up the fittings. If you have the Camco RhinoFlex Sewer Fitting Wrench Set, then your problems are solved. The existence of hard water or poor quality water may be something you experience at home. 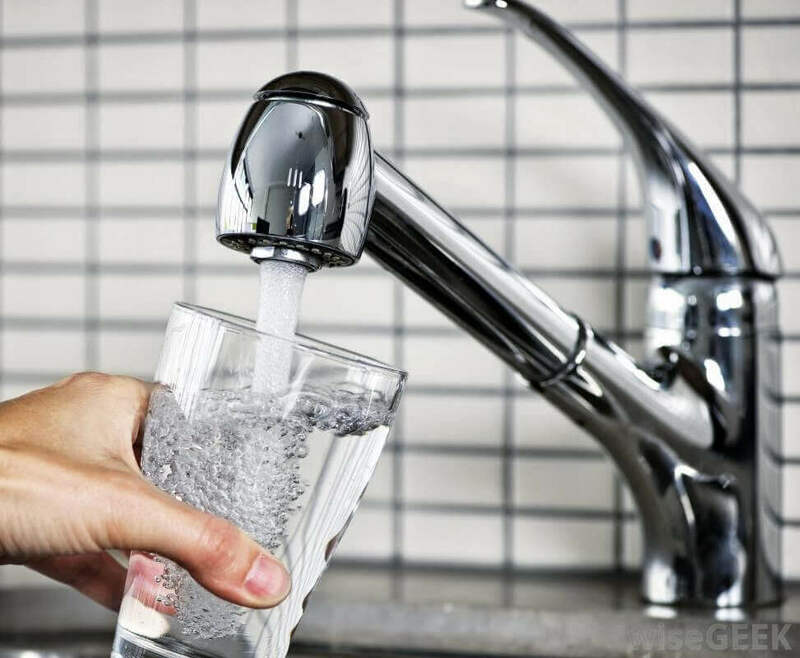 Most likely you take steps to deal with that issue, such as using water filtration systems. 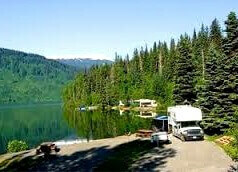 In an RV, the quality of the water can easily change depending on the weather or where you are. For examples, some areas of the country are more susceptible to having a high concentration of minerals in their water than others. 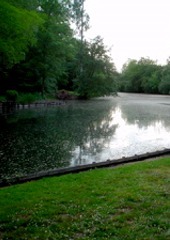 You don't have to be subjected to the varying conditions of water you may find at different campgrounds. There are several different ways to ensure that your water is clean and safe to use for drinking or washing. Unsure whether you need an inverter, generator or converter for your RV? Supplying electrical power to your coach doesn't have to be a confusing issue, although with all the options out there it may be overwhelming. Depending on what you are trying to accomplish, you may even need a combination of devices to get your intended result. Once you are prepared with the right information, however, the task becomes much simpler. When you are on an RV trip, certain things come into play that don't pertain to other types of vacations or excursions. RV camping is a unique experience, with many different types of supplies to make the trip easier and more enjoyable for everyone. Certain things do come into play with basic camping items, such as ease of use, storage space and of course, safety. 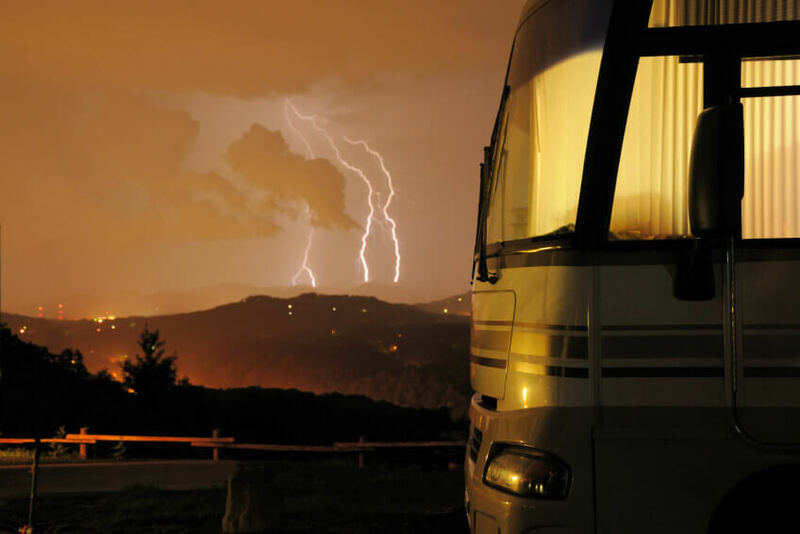 Just like at home, surge protection is important for your RV as well. Incorrect voltages or influxes of power can cause damage to your RV's electrical system or devices. 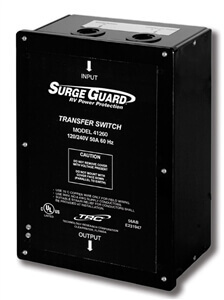 Using surge protection can save you from costly repair or replacements. 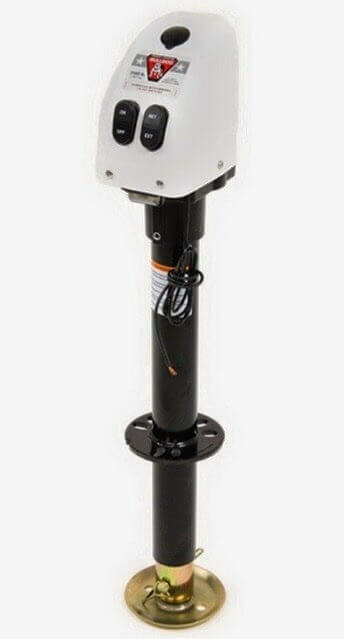 When connecting to a campground's power pedestal without surge protection, you have to trust that it is working properly and delivering power correctly. Whether you are working in your kitchen at home, the look of the plumbing fixtures can be just as important and their function. This is also true with the kitchen in your RV. Besides making sure the appliances in the kitchen meet your needs, the smaller details, such as the style of faucet, can add to the enjoyment of the space. The American Brass Gooseneck Faucet comes in three styles to fit several different types of décor. 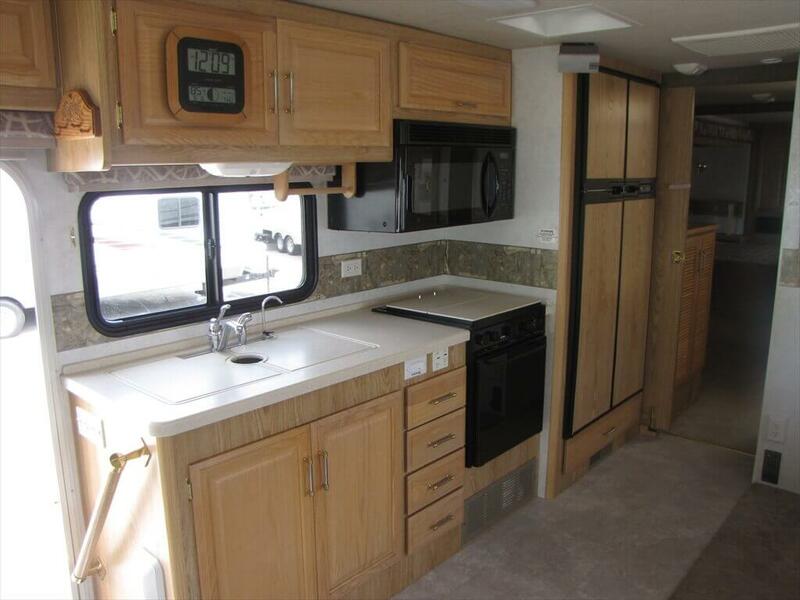 When it comes time to prepare meals, setting up your RV's kitchen doesn't need to be a challenge. Some RV kitchens can be more luxurious than residential ones, but for most people, they may not have the size and space available in a home kitchen. There are plenty of ways to make the most out of the space you do have. Whether your cooking skills are basic or advanced, here are a few things to keep in mind before taking your next trip. Just like any other vehicle, your cargo trailer is prone to picking up all kinds of dirt and stains while in use. 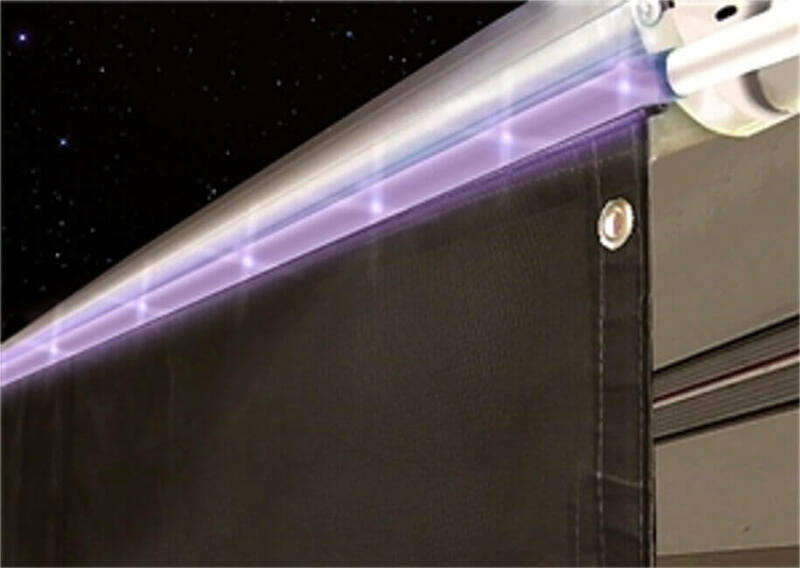 Black streaks can form after time, reducing the quality of your trailer's appearance. Rain and bad weather can also contribute to stains forming on the surface. That being said, having a black streak cleaner can definitely come in handy. 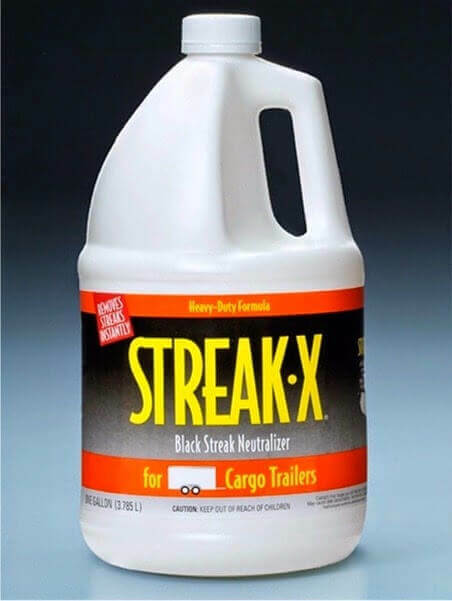 While RVTech does have a general black streak remover for RVs, as well as other exterior cleaners, this Streak-X solution is intended just for cargo trailers and race trailers. The cargo trailer formula is made to work 85% faster, saving you time and effort. 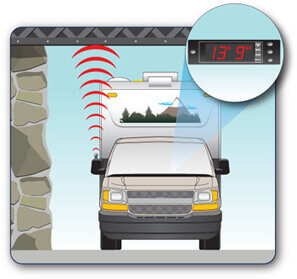 Having a backup camera or observation system is key when driving a larger vehicle such as an RV. No matter how confident you may be in your ability to maneuver a vehicle, it is to your advantage to take the extra step in avoiding potential damage. 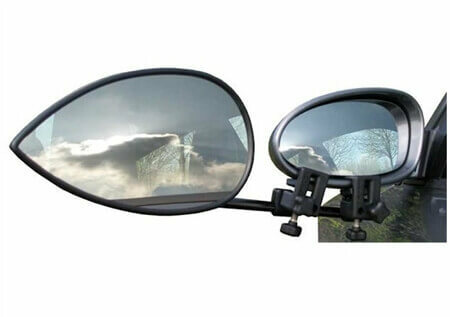 Rear-view mirrors can only do so much to help you see past blind spots. Installing a camera system can allow you to see further than the mirrors can reach. When you are looking for extra storage, one option is to certainly use a hitch mounted cargo carrier. Sometimes, however that may not be enough to keep your belongings secure during transport. Likewise, the flat surface of the basket can only accommodate so many items. Certain things also need to be kept protected from the weather, but the necessary room is not always available inside the vehicle. 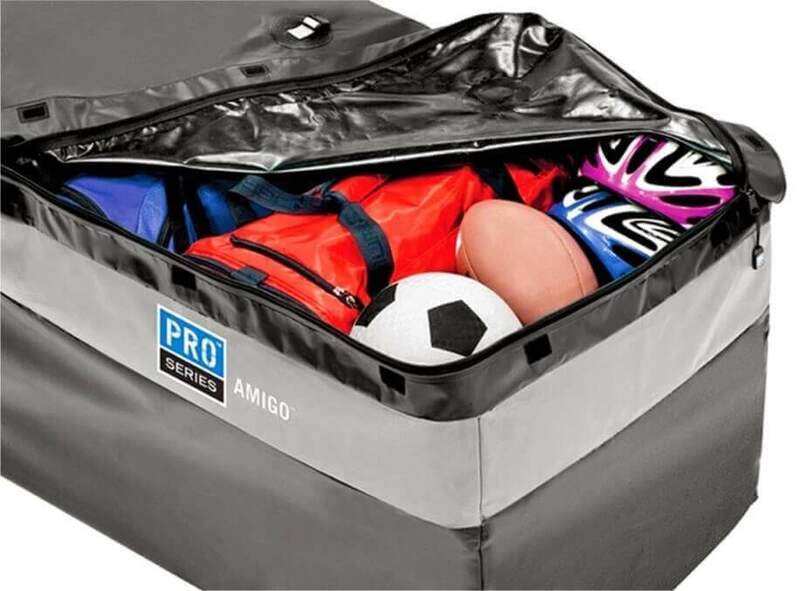 A cargo carrier bag can help eliminate those issues. Even though the bathroom in your RV is likely smaller than the one you have at home, there is no reason you can't be just as comfortable. Planning the look and feel of your RV bathroom can be rewarding; it only takes some planning and choosing the right parts to create the style you want. The range of fixtures and supplies available means you won't have to sacrifice form for function. 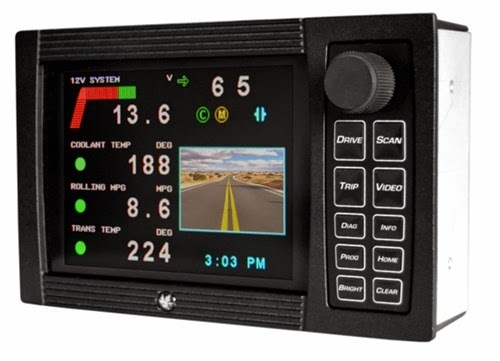 Choosing the engine monitoring system you need can depend on several factors. 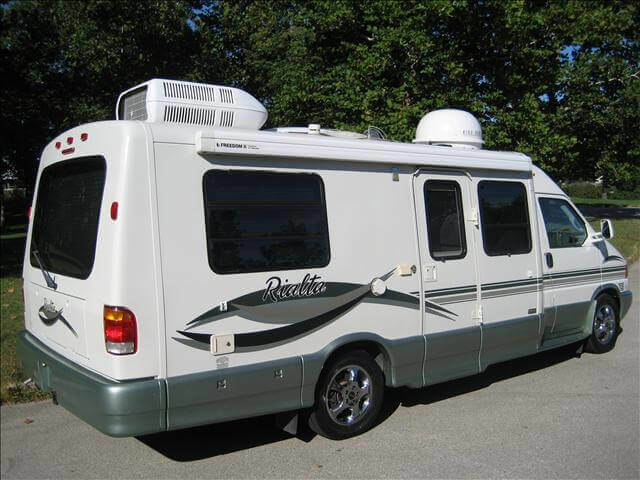 For practical reasons, you will want to make sure there is enough room in your RV to accommodate a particular model. You should also take into consideration how much time you spend RV-ing. 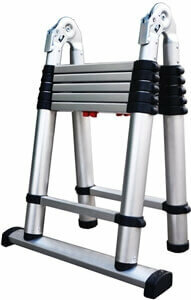 Step ladders are of course easy to store and easy to use. 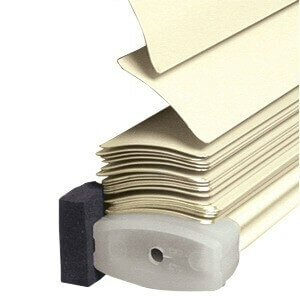 Their typically compact size makes them a convenient solution to reaching certain areas. Sometimes a step ladder may not be enough, specifically in terms of height. 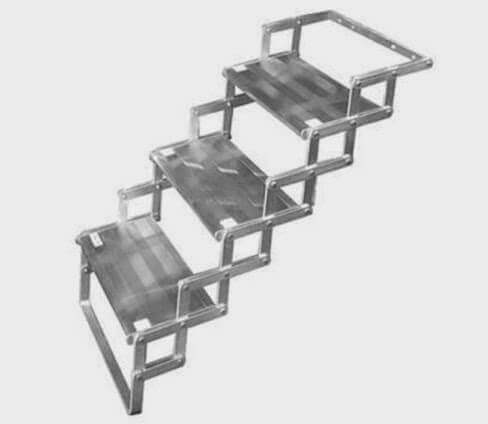 Step ladders can sometimes be cumbersome to carry around as well. If you are looking for a ladder that can allow you to get more done, there are other options. When hooking up a towed vehicle, there are obviously several steps involved to make sure the vehicle is safely connected. One such aspect is adding a supplemental taillight system for braking and turn signals. These light systems need to be properly installed so that the braking or turning lights come on at the appropriate times. Most light systems need to be wired electrically, which can be a hassle if you are short on time or if you are not confident in your wiring abilities. Making sure your vehicle's batteries are in charged and in good condition can go a long way to adding to your peace of mind. Taking care of your batteries and keeping them properly charged helps to make sure they will maintain their performance. It may even help to extend their lifespan. Several different factors come into play when you are looking to tow a vehicle. 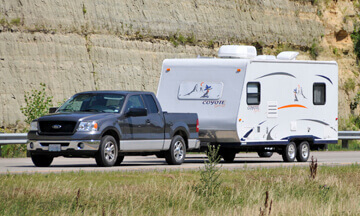 Most of the time, towing a vehicle behind your motorhome requires you to have a supplemental braking system. 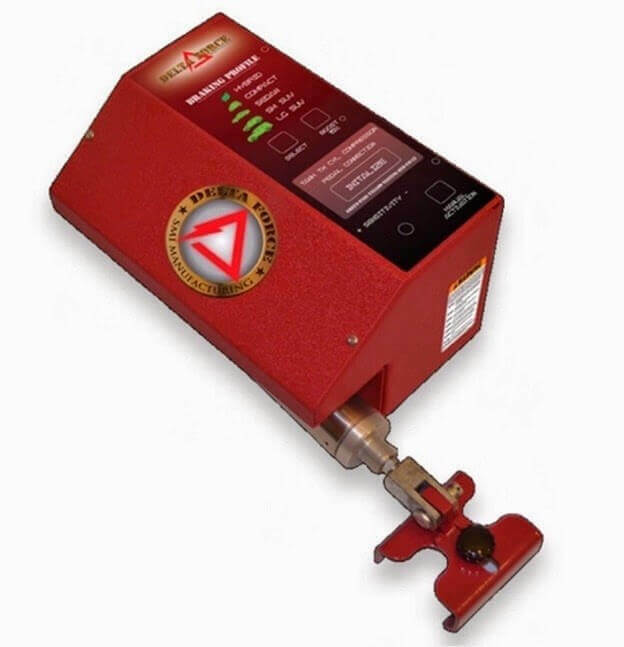 This allows you to keep control on the brakes of your towed vehicle in combination with the brakes on your coach. Of course there are several methods to tackling a laundry pile while you are on the road. If you have the time and the ability to do so, it is of course possible to do it by hand. Such methods can be tiring, however, plus a lot of people don't want to spend time on their trip doing laundry themselves. Having road flares in your vehicle in case of emergency is essential, especially when you are going on a lengthy road trip. 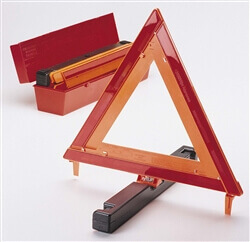 Road flares help to warn any oncoming traffic of potential hazards or obstacles. Traditional road flares, however, can be dangerous when they are not handled in the right way. To solve that issue, Aervoe Industries has come out with battery operated LED road flares, which is a much safer option. Finding ample storage space can be difficult enough when you are at home, in an RV it may be an even bigger challenge. Even though you may have limited space in your RV, there are plenty of options available that take advantage of what space you do have. 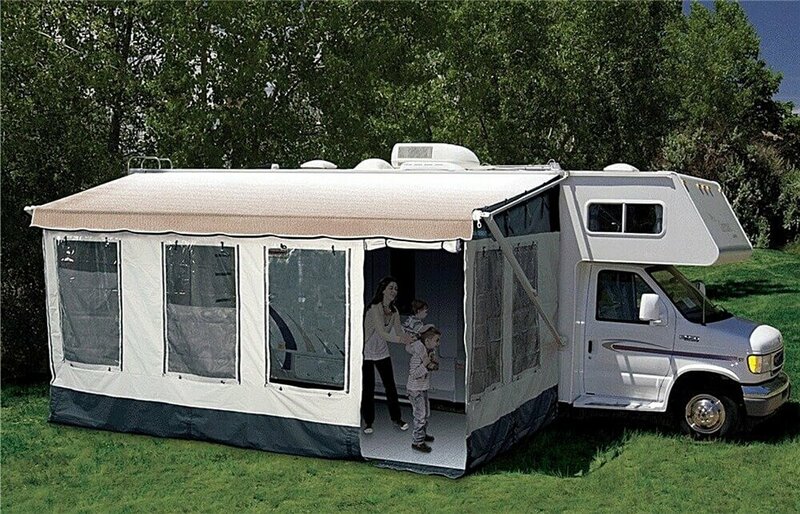 For one thing, there are many RV accessories that are collapsible or foldable so they wont take up much room. Filtered water is a necessity when traveling or camping with your RV. 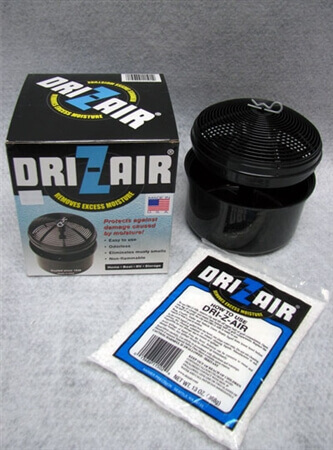 Neglecting RV water filters can cause water to have an off-taste, be full of sediment, or have an unpleasant odor. 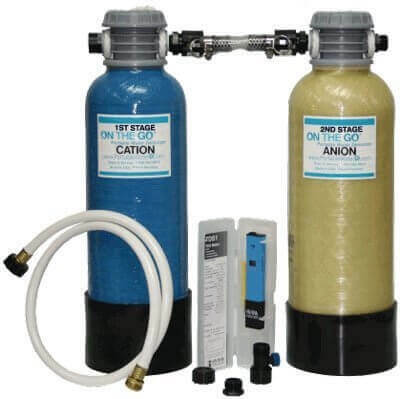 Depending on your RV model, budget, or frequency of use, there are plenty of filters to choose from that will make your RV water taste fresh, improve flow, and remain sediment free. 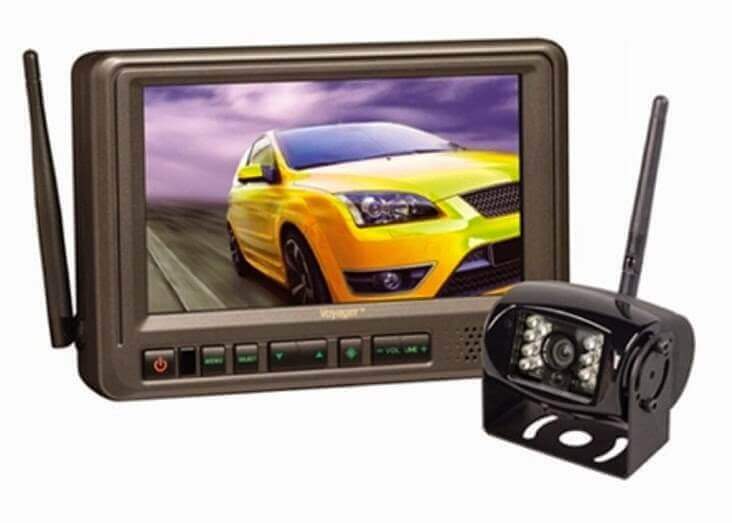 There is no reason to have to sacrifice picture quality with your RV's television. You can still get clear pictures and even HD signals while you are away from home. 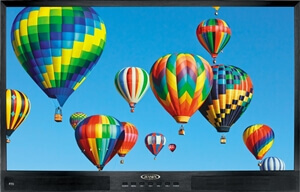 When choosing a TV for your RV, you may have to consider certain things that aren't applicable to a stationary TV in your house. Renewable energy can come from several different sources, with solar power being one of the most common. 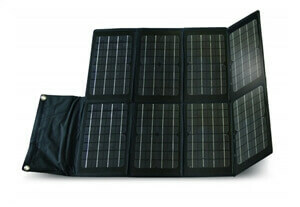 Solar power makes it possible to keep batteries charged and electricity flowing while the sun is out. 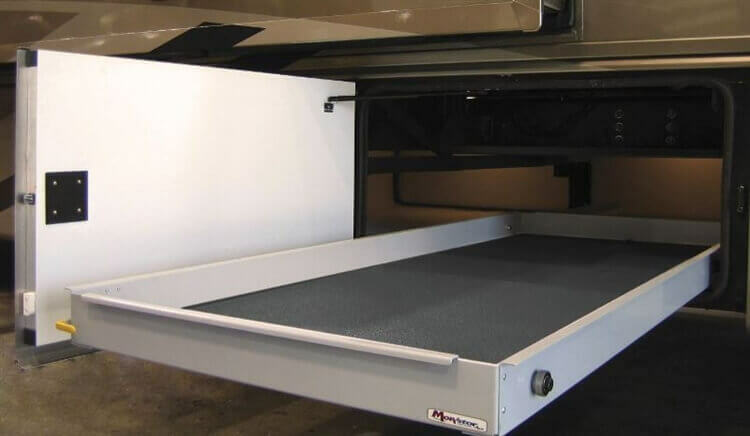 The same system can be applied to RVs as well, with either temporary or permanent solutions. Using portable systems can be less expensive than mounting installations on your motorhome's rooftop. Attempting to enter or exit your RV after dark can be tricky business without proper illumination. RV entry steps can also become slippery, which is hard to notice in the dark. 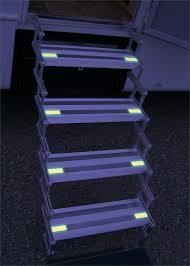 The Torklift Glow Step takes care of these issues by providing a lighted path that is easy to see in the dark. This saves you from having to use a flashlight to see, or worse, using the entry steps in complete darkness. These entry steps feature SureGrip™ that adds to the safety factor by increasing traction, making them safe for anyone to use. The Bulldog powered A-frame jack is operated by electricity and can handle up to 3500 lb. 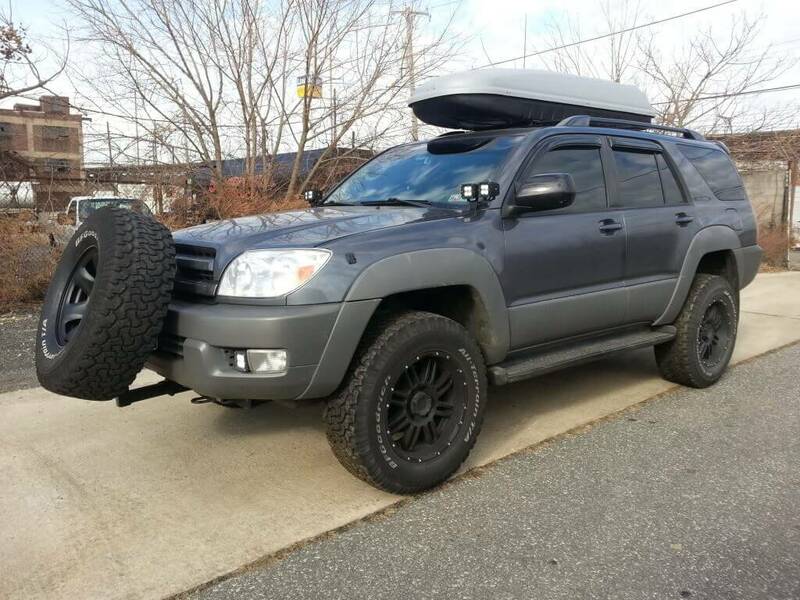 while providing 22″ of lift. Efficient and quiet, this tongue jack is easy to use, with on/off and retract/extend switches. Once extended it can be over 30" in height and can retract back to less than 10". It features an LED on the front to allow you to use it in the dark or at night and a manual override so the jack can still be used even if the power fails. It requires little to no maintenance, as the white or black finish resists corrosion and the motor is sealed. With all their advantages over traditional bulbs, LED lights are going to continue to be more common. LEDs have grown in popularity in recent years, and have continued to become more versatile as technology advances. While they certainly can be found in homes and businesses, there is no reason you can't upgrade the lighting for your RV as well. Many bulbs can be retrofitted into existing fixtures, making it easier to implement the change. You may have considered the benefits of a water softener for your home, but have you thought about how a portable water softener in your RV could be beneficial? Having soft water in your motor home is just as important as it is at your primary residence, and here a few reasons to consider purchasing one. Most likely you are aware of the importance of keeping the tires on your car properly inflated. The same principle holds true for your RV as well. In some cases its even more crucial, due to several different factors. 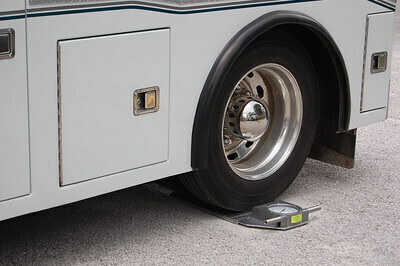 The size of the motorhome, the amount of time spent inside the vehicle and the potential distance from local service stations can all affect how you monitor your tire pressure. 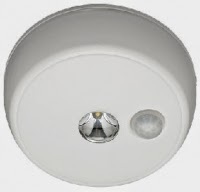 The Mr. Beams LED Anywhere Ceiling Light is a wireless ceiling light with a motion sensor. 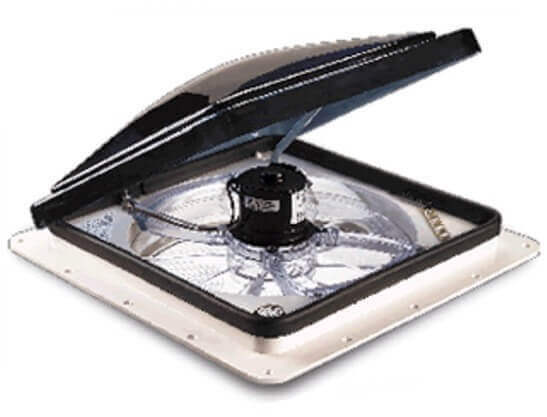 This ceiling light turns on when it senses movement and is weatherproof, so it can be mounted most anywhere. The LED is bright white making it useful when trying to illuminate a dark area. 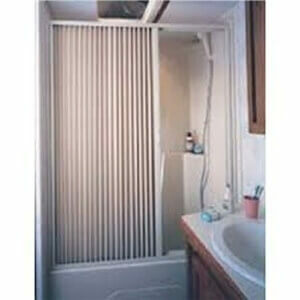 It works not only for RVs but also for closets, showers and outside porches and gazebos. The motion sensor has a range of 20 feet and the light will shut off if there is no movement detected after 30 seconds. The LSL Products Toad-Charge Dinghy Vehicle Battery Charger & Maintainer keeps the battery charged on your towed vehicle, eliminating the problem of a battery discharge due to an auxiliary braking system. 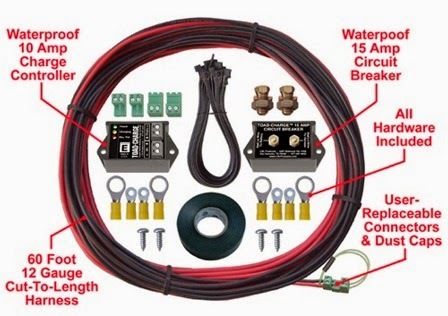 The Toad-Charge includes a charge regulator, circuit breaker, 40 or 60 foot wiring harnesses & the applicable hardware. Because the harnesses are permanently installed, you do not need to disconnect them when your vehicle is not being towed. 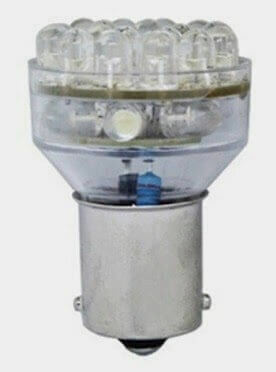 The Ming’s Mark High Power DIP LED light is ideal for RVs, motorbikes, marine and other types of vehicles. 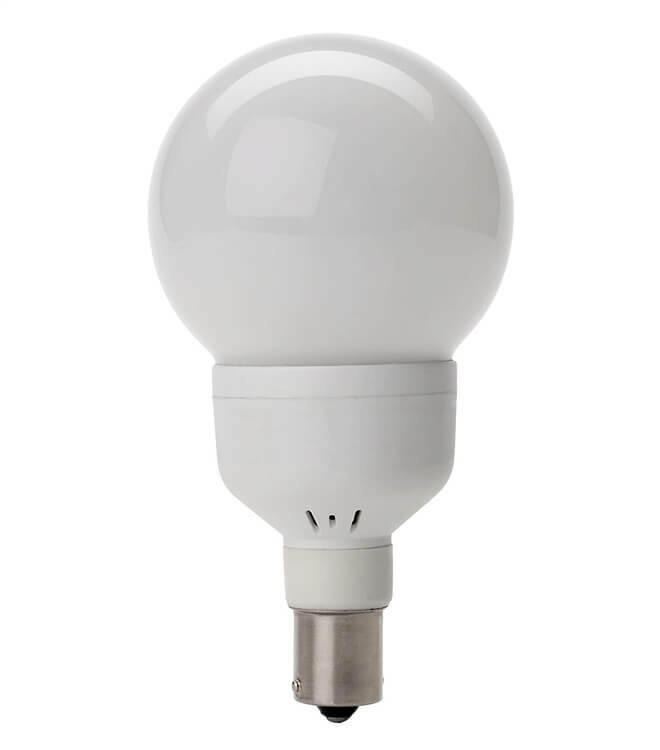 It features an 1139 base and 24 LEDs, with a luminosity of 95lm and a 4000-4500K natural white color temperature. Color temperature indictates how closely the bulb imitates natural light. In this case, the light will appear to be mostly white in color, as opposed to the blue or yellow ends of the spectrum. This LED has a wide beam angle of 120 degrees and the base has a positive and negative terminal.